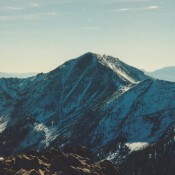 Baker Peak Smoky Mountains 10,174 ft 1989 This peak is found on page 212. 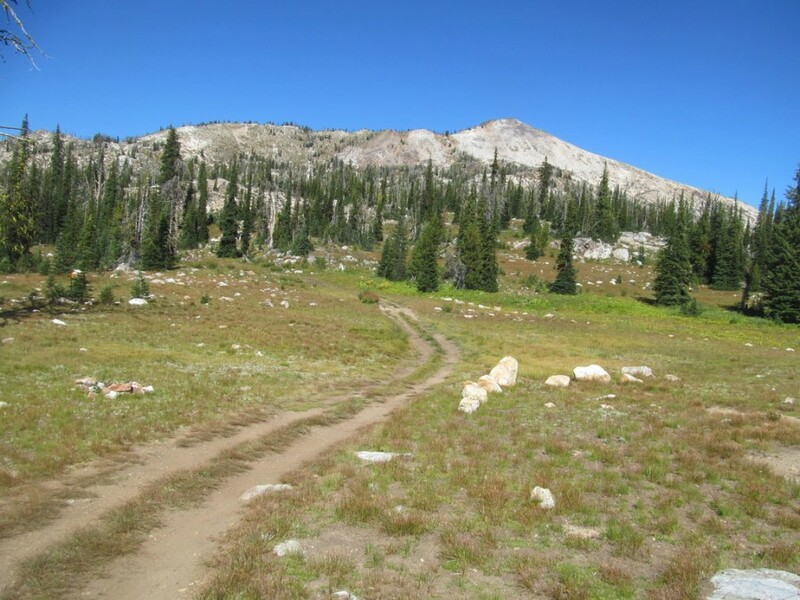 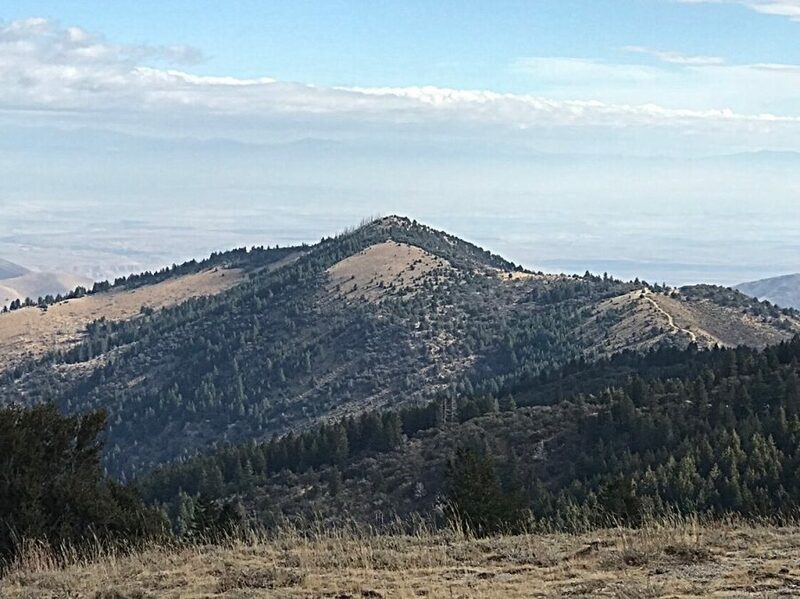 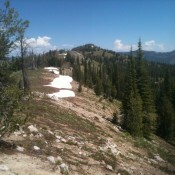 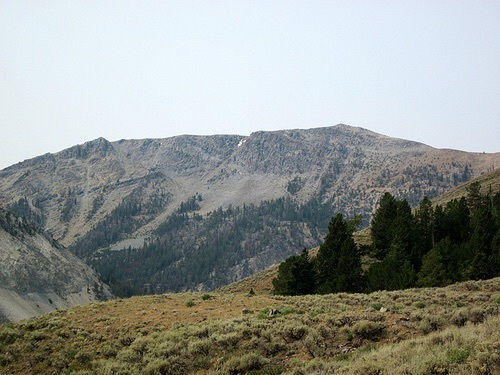 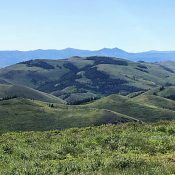 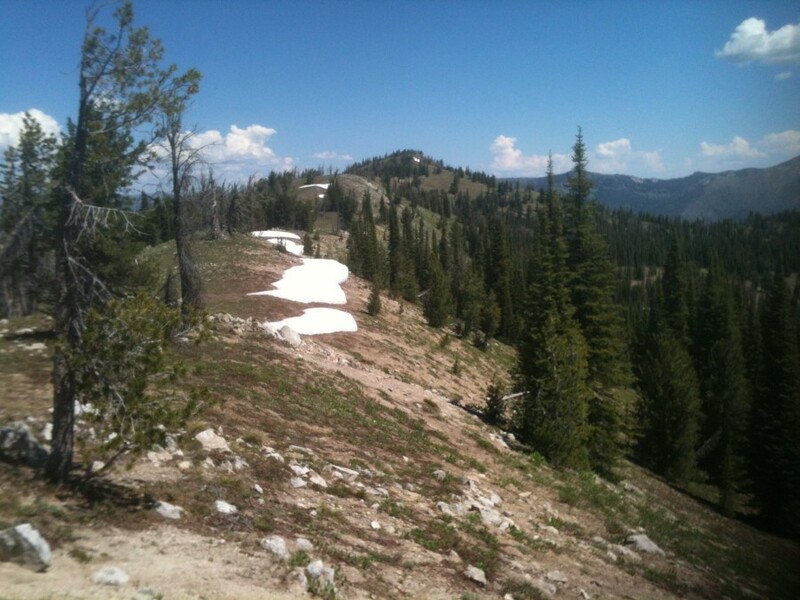 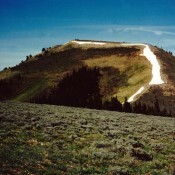 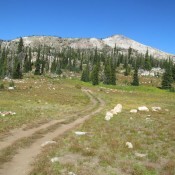 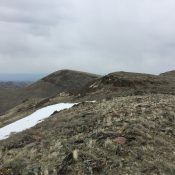 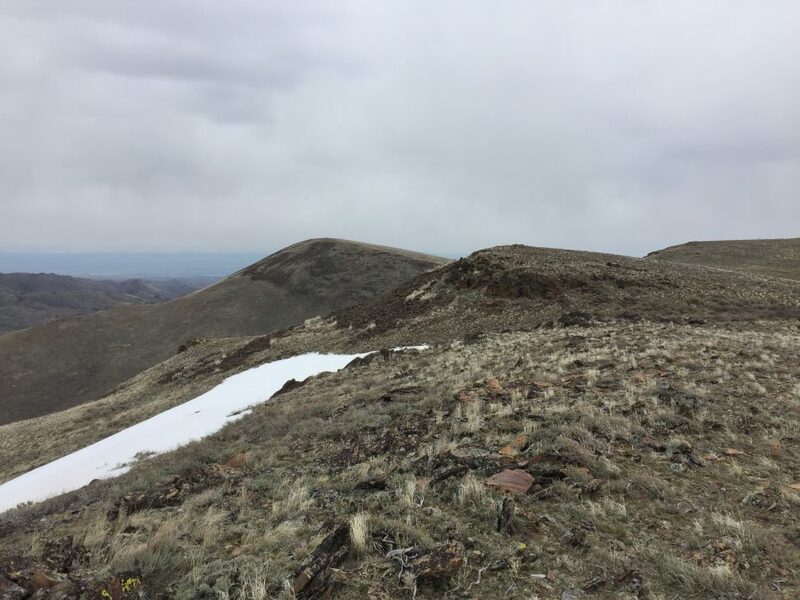 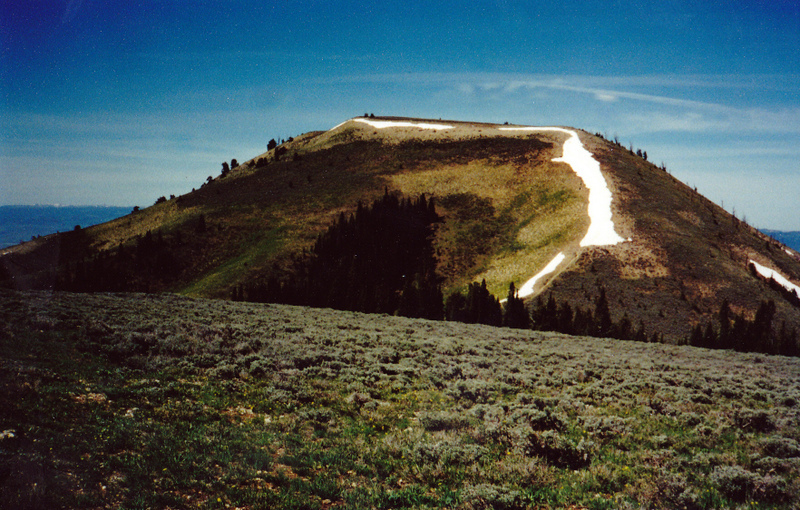 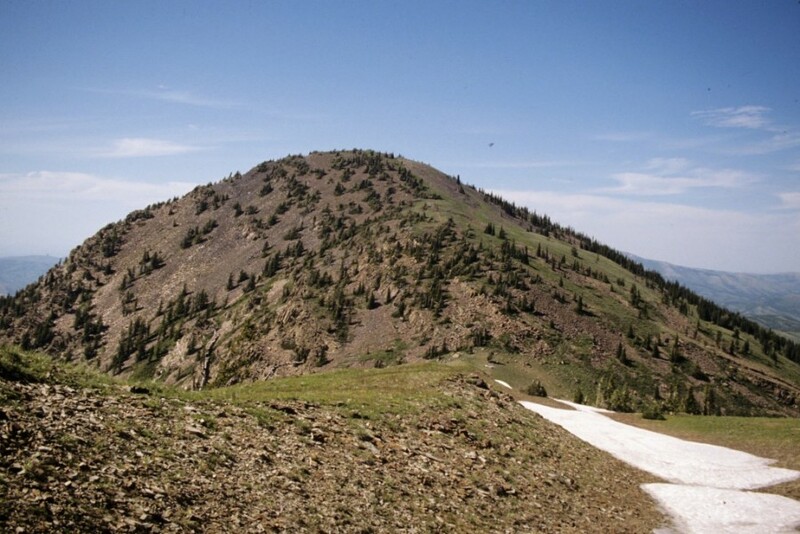 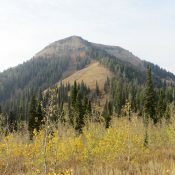 Bald Mountain Boise Mountains 9,389 ft 1108 1996 Climbing and access information for this peak is found on page 151. 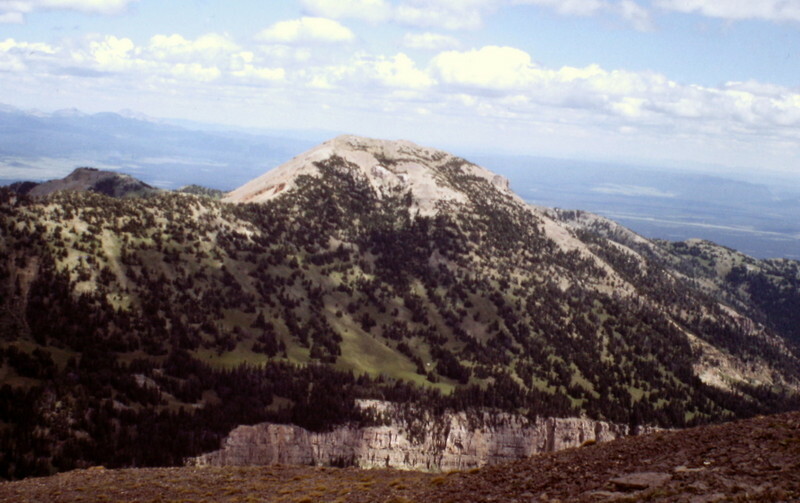 Bald Mountain 5334 Northern Clearwater Mountains 5,334 ft 2114 1984 Climbing and access information for this P2K peak is found on page 60. 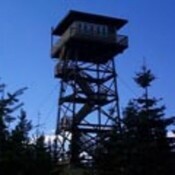 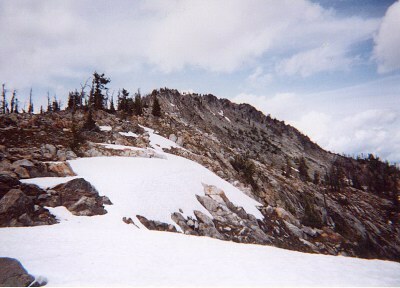 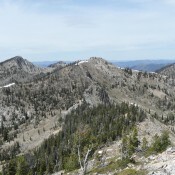 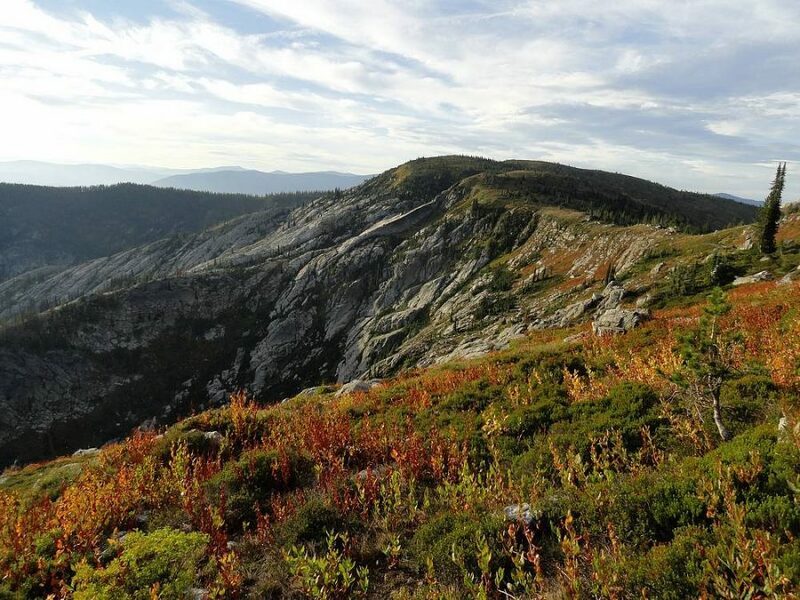 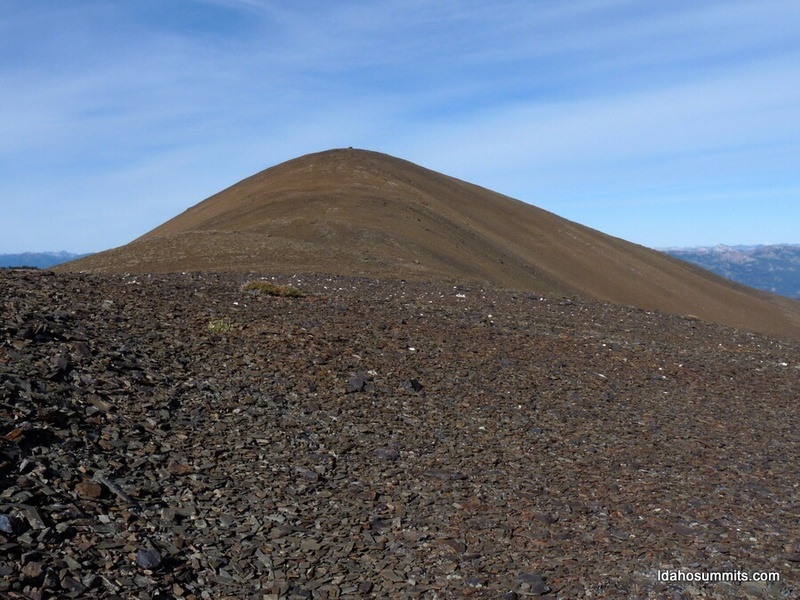 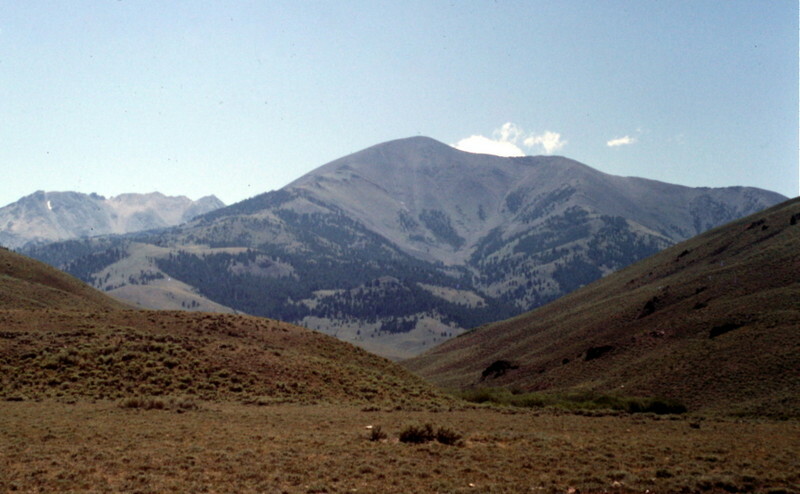 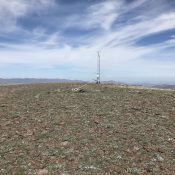 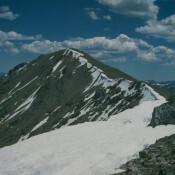 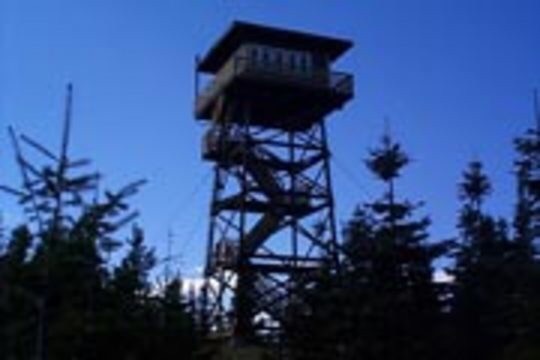 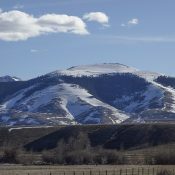 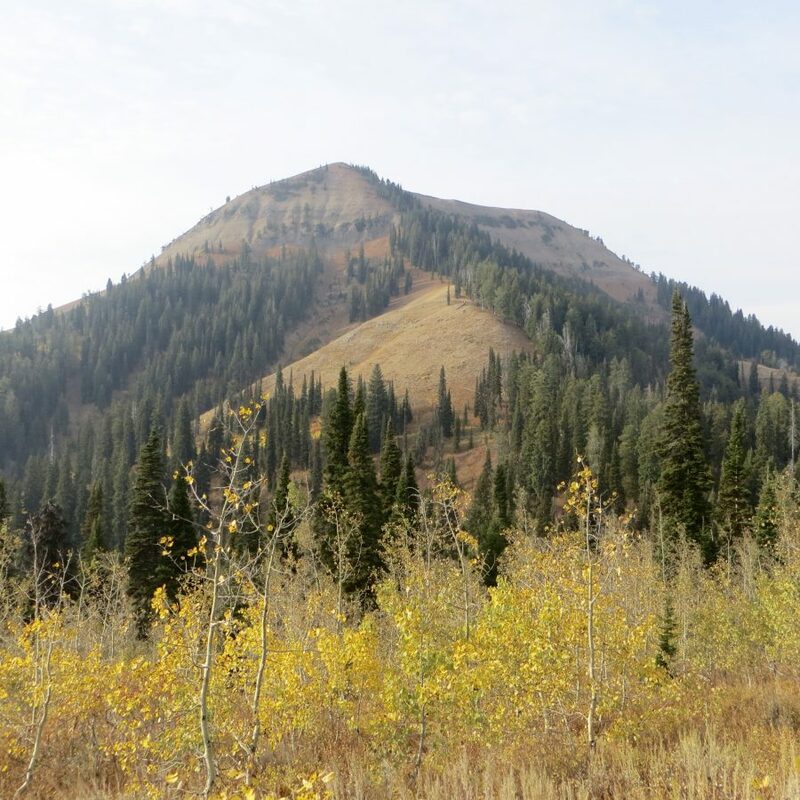 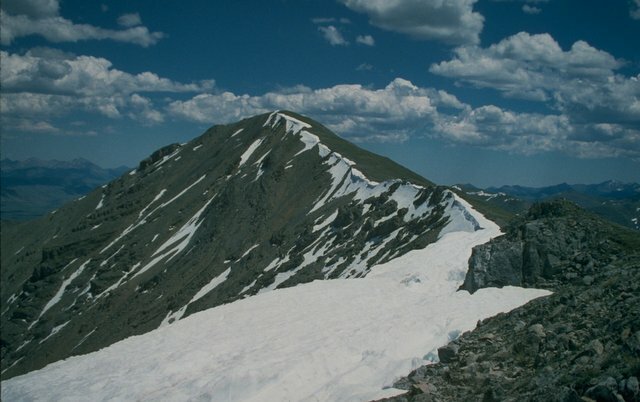 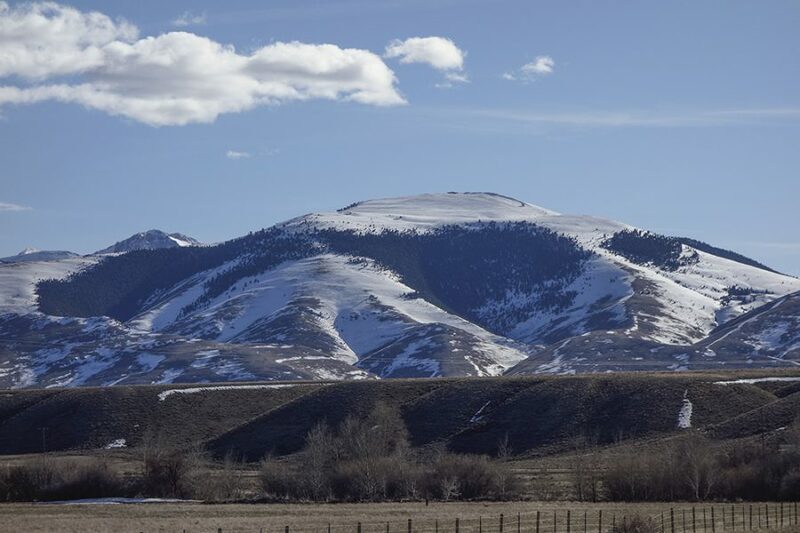 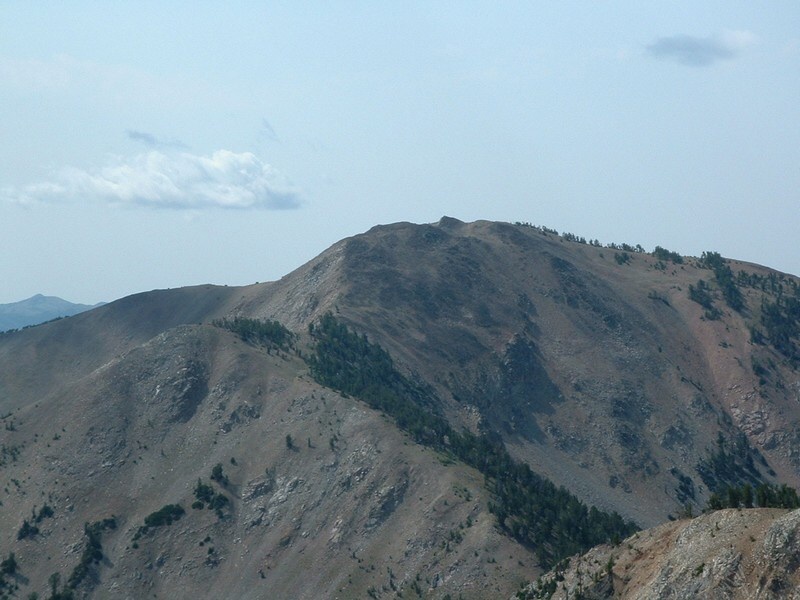 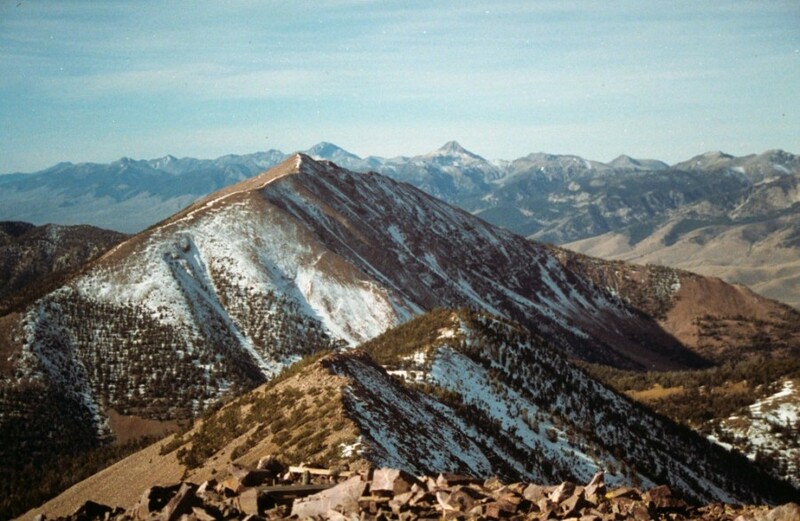 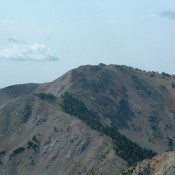 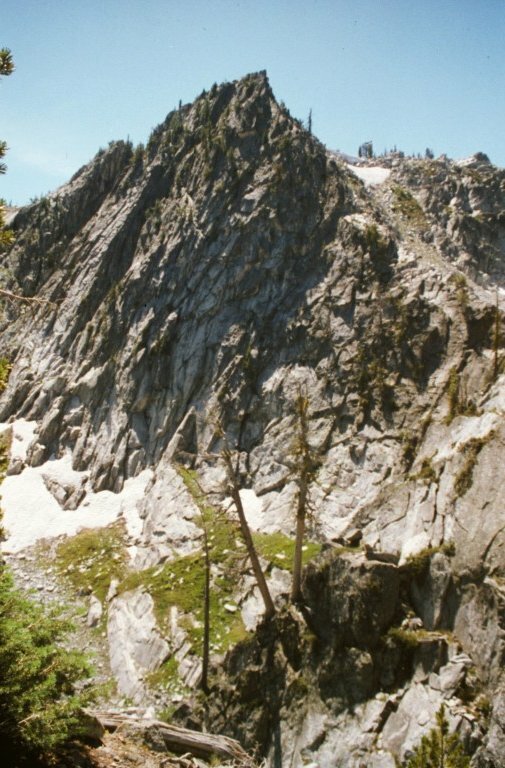 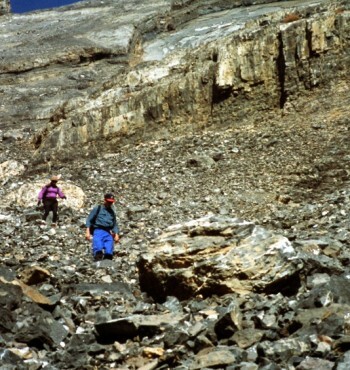 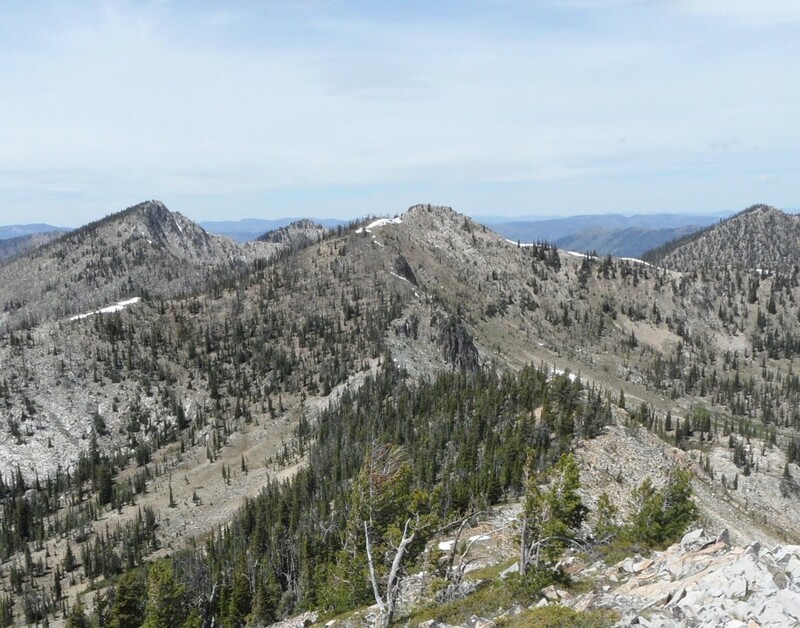 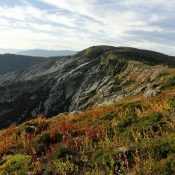 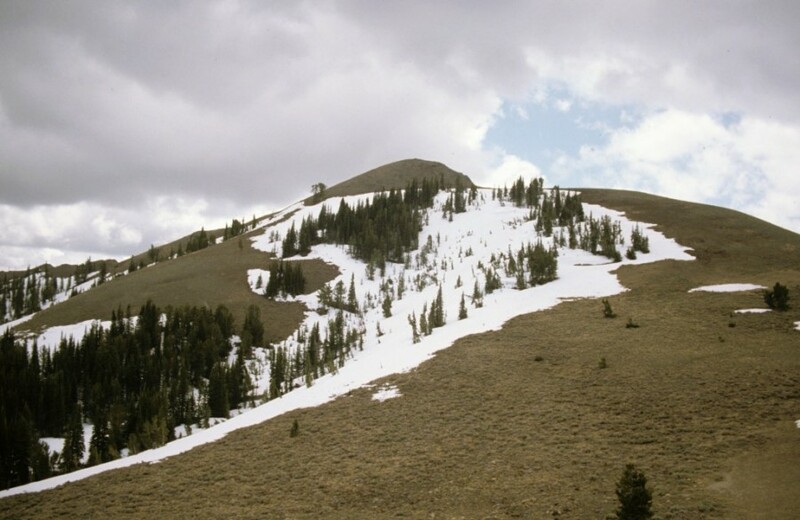 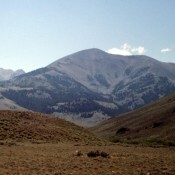 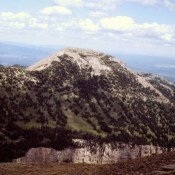 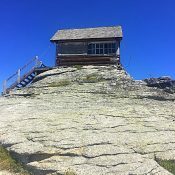 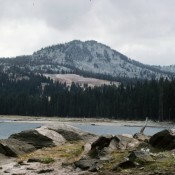 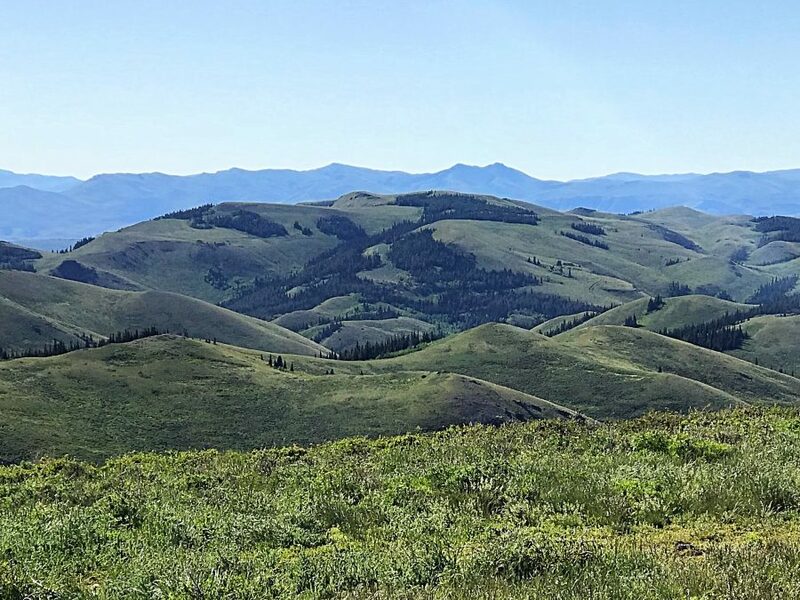 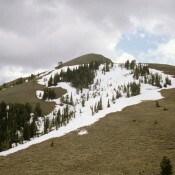 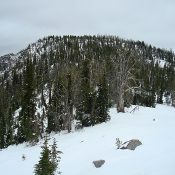 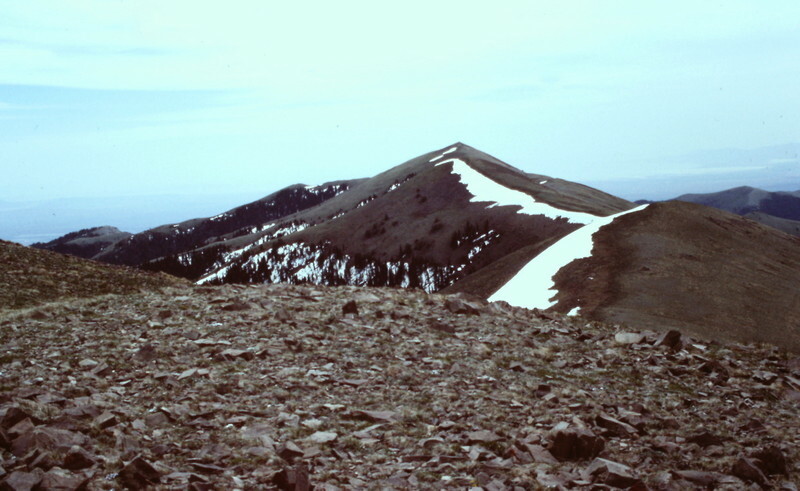 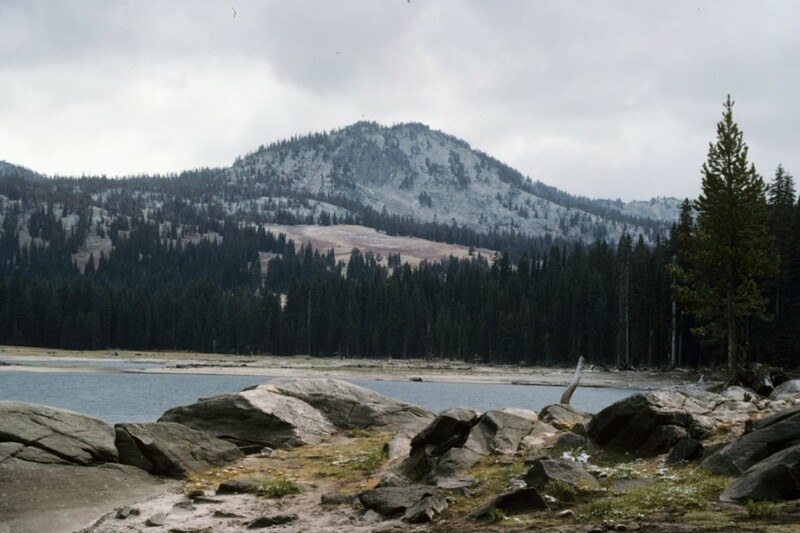 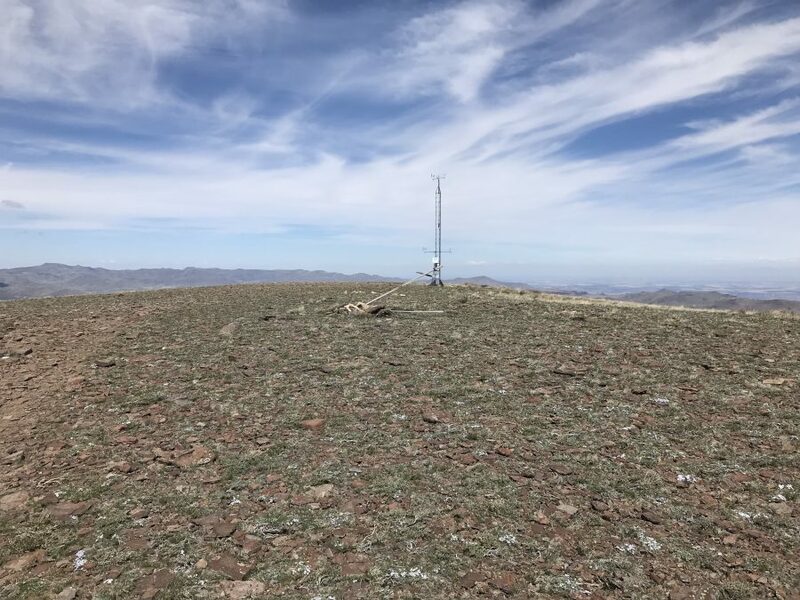 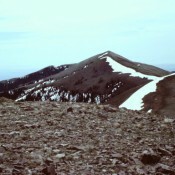 Bald Mountain 9151 Smoky Mountains 9,115 ft 1533 1979, 1994 Climbing information for this peak is found on page 212. 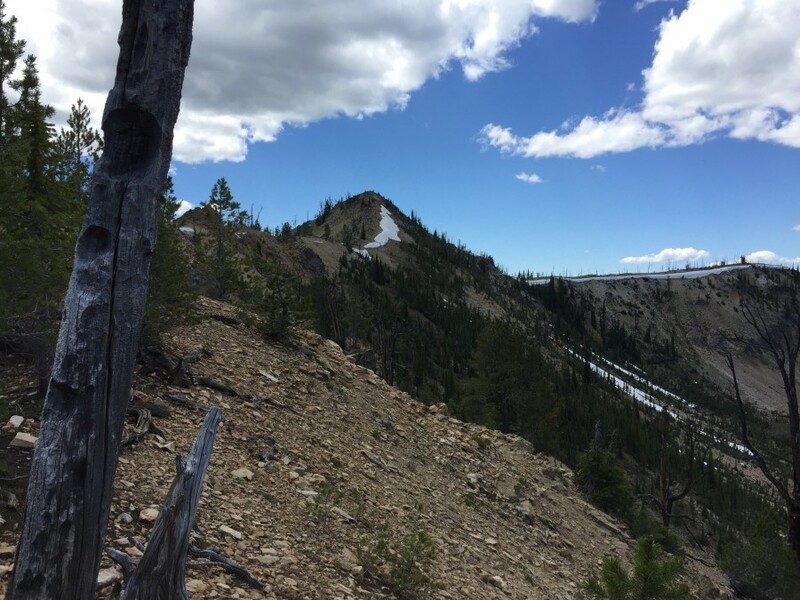 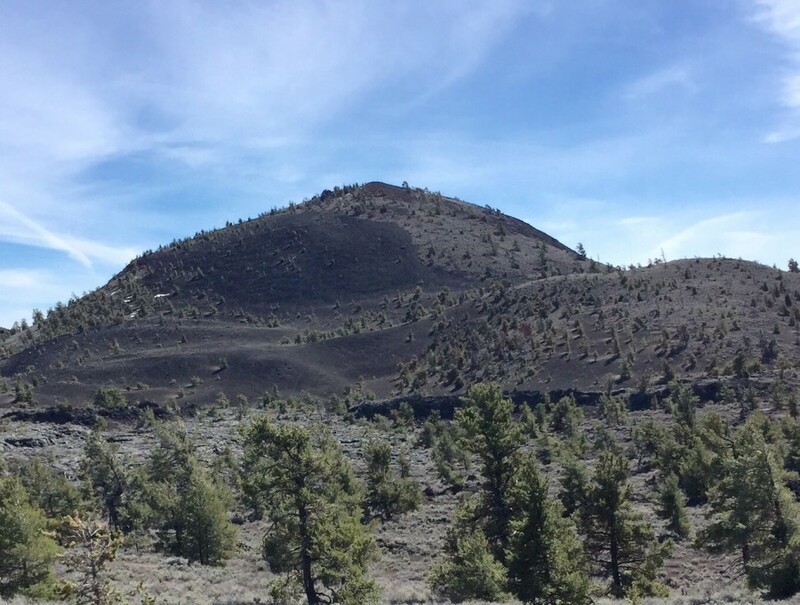 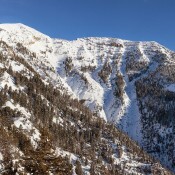 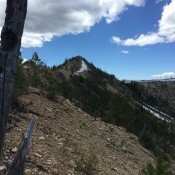 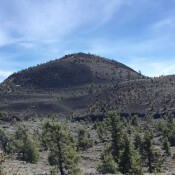 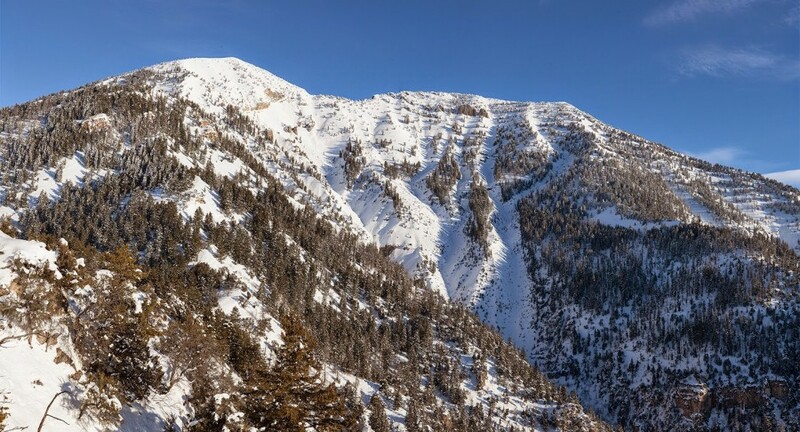 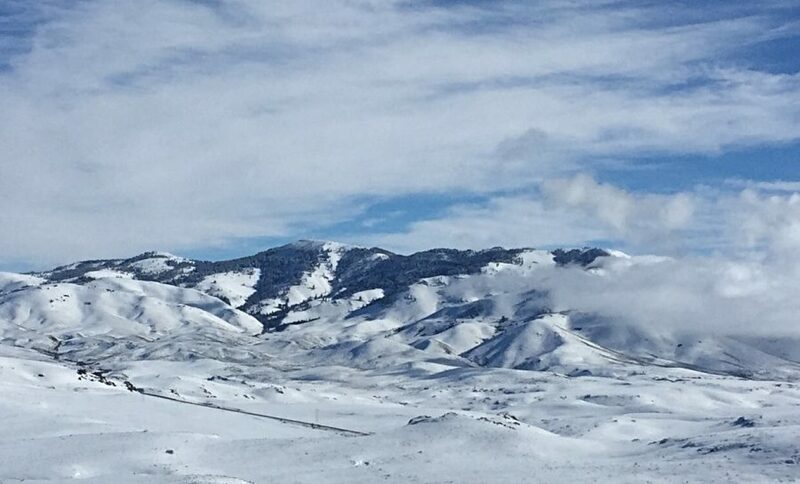 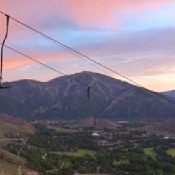 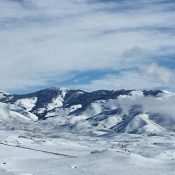 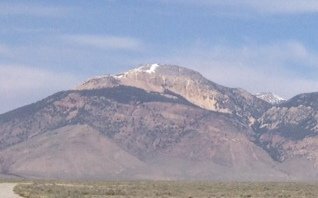 Baldy Mountain Portneuf Range 8,330 ft 430 2016 This peak is not in the book. 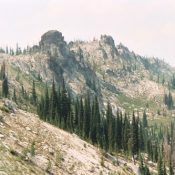 Bare Peak/Idaho County High Point Bitteroot Mountains 9,439 ft Bare Peak is discussed on page 89. 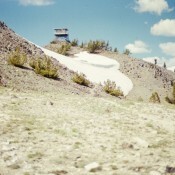 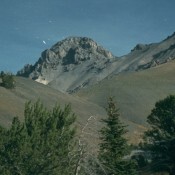 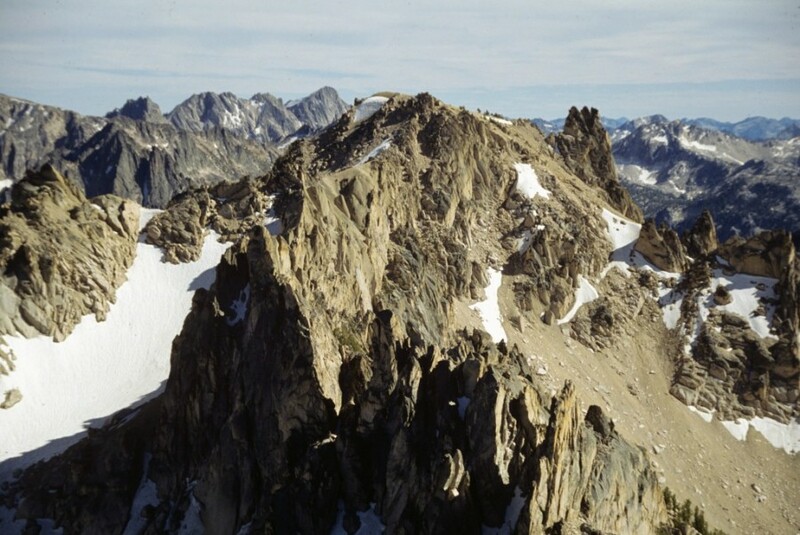 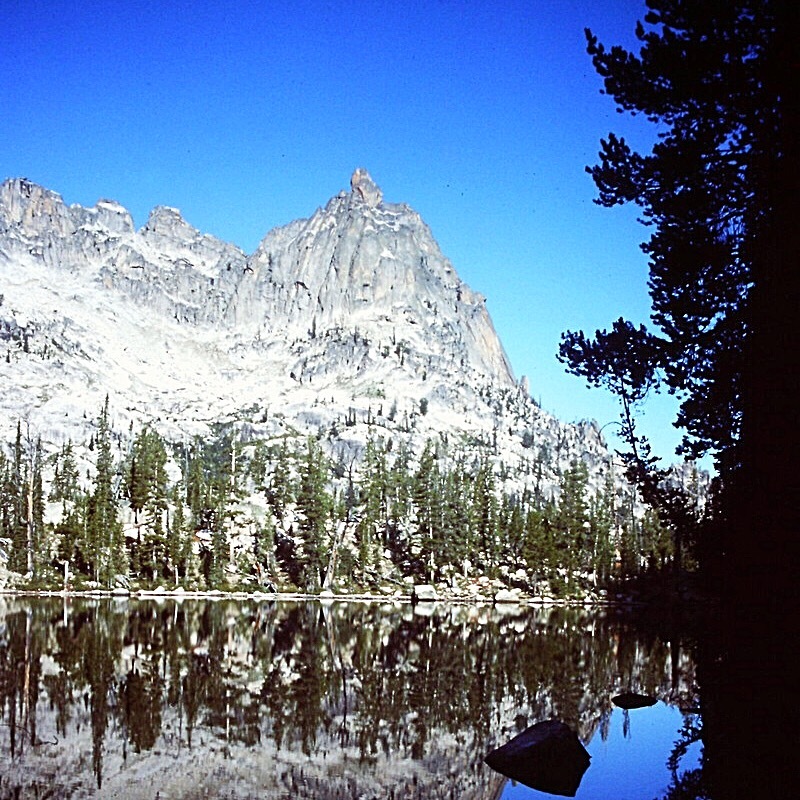 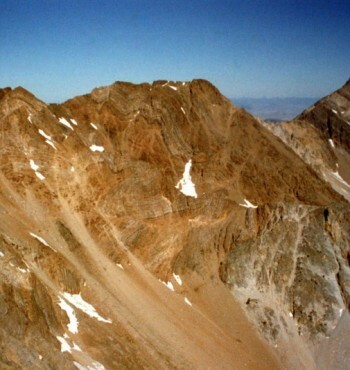 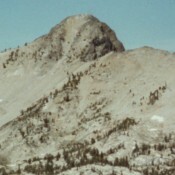 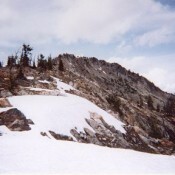 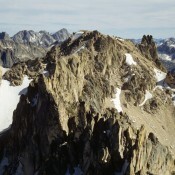 Baron Peak Sawtooth Range 10,297 ft 637 1994 Climbing and access information for this peak is found on page 166. 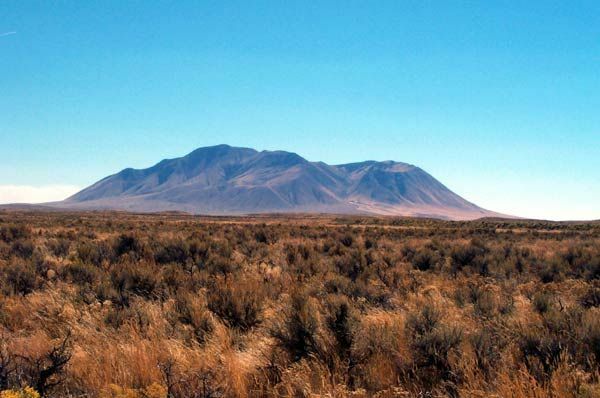 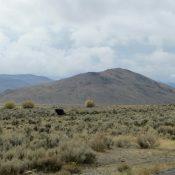 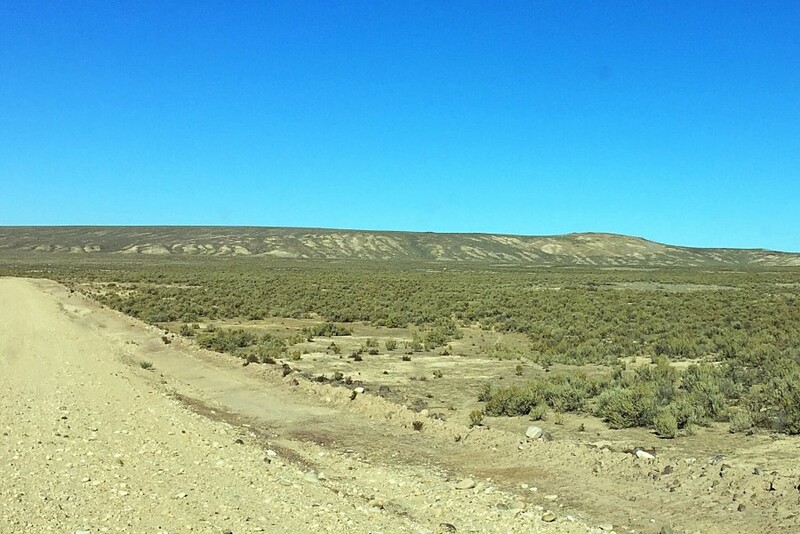 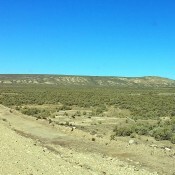 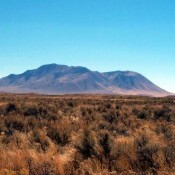 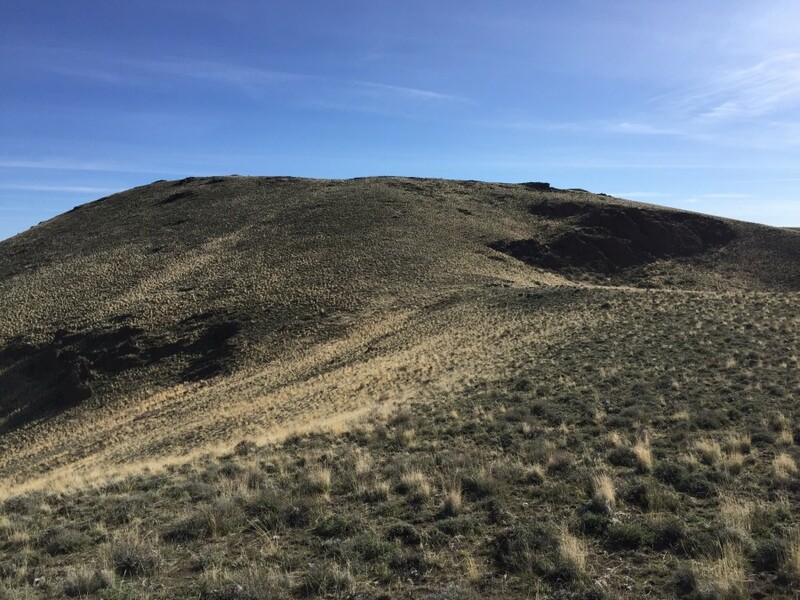 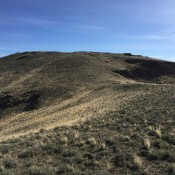 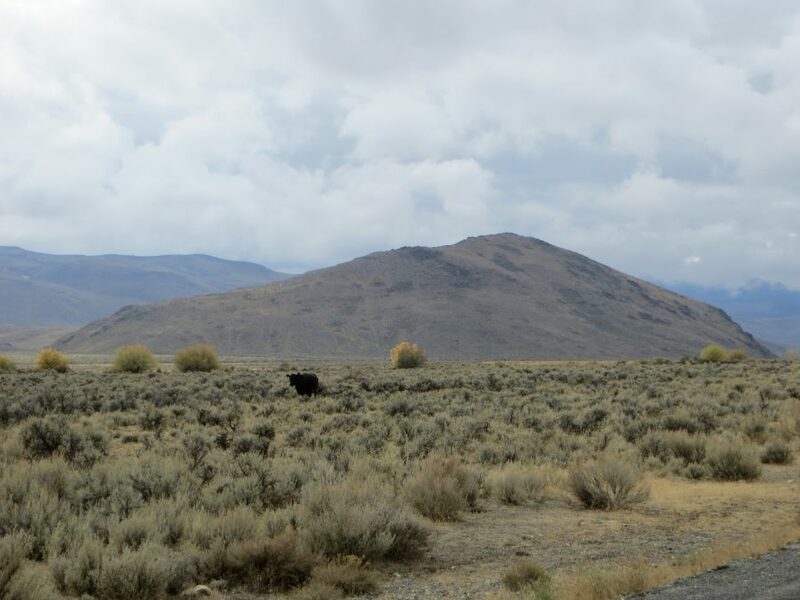 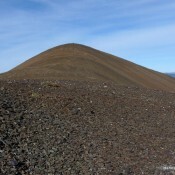 Bear Den Butte Snake River Plain 5,104 ft This butte, the highest pount in Minidoka County is not in the book. 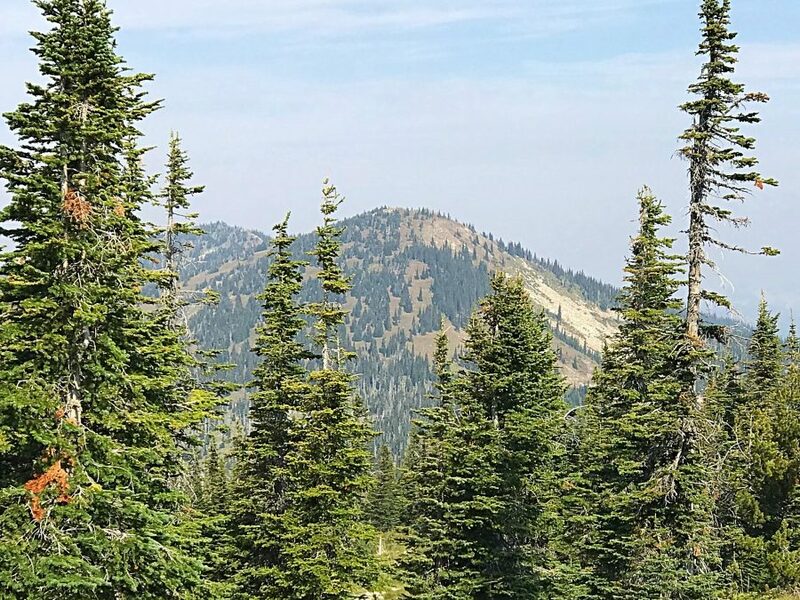 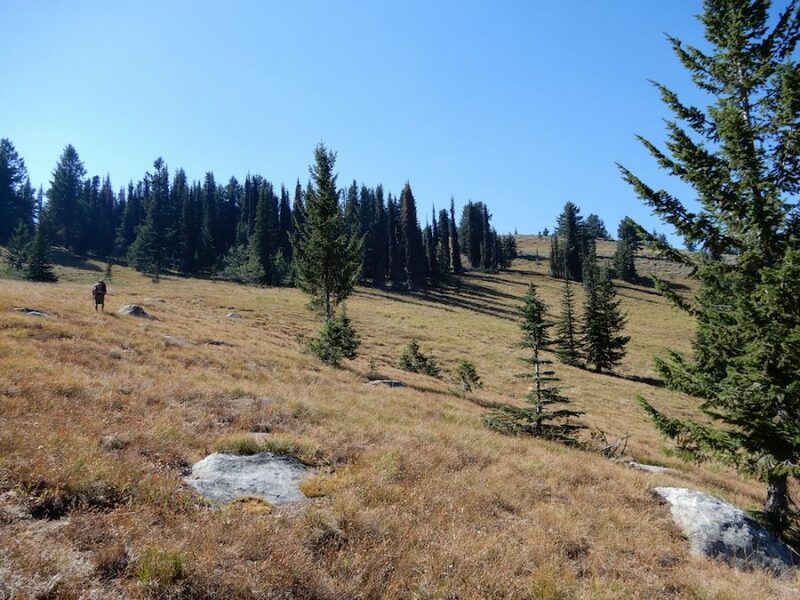 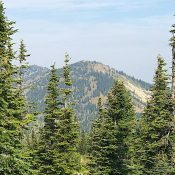 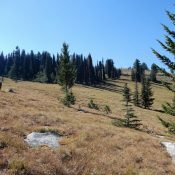 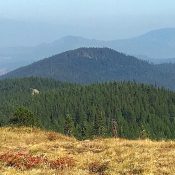 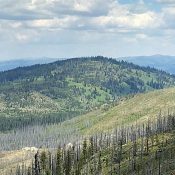 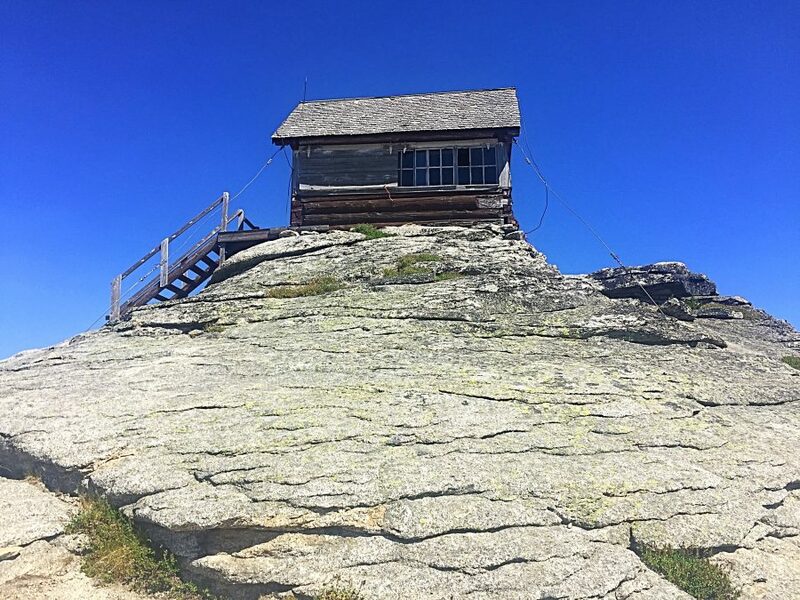 Bernard Peak Coeur d'Alene Mountains 5,166 ft 696 2018 This peak is not in the book. 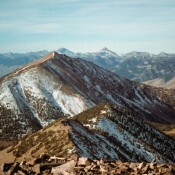 Published in September 2018. 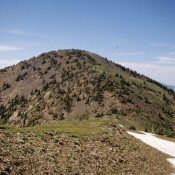 Big Peak Smoky Mountains 10,047 ft Big Peak is found on page 212. 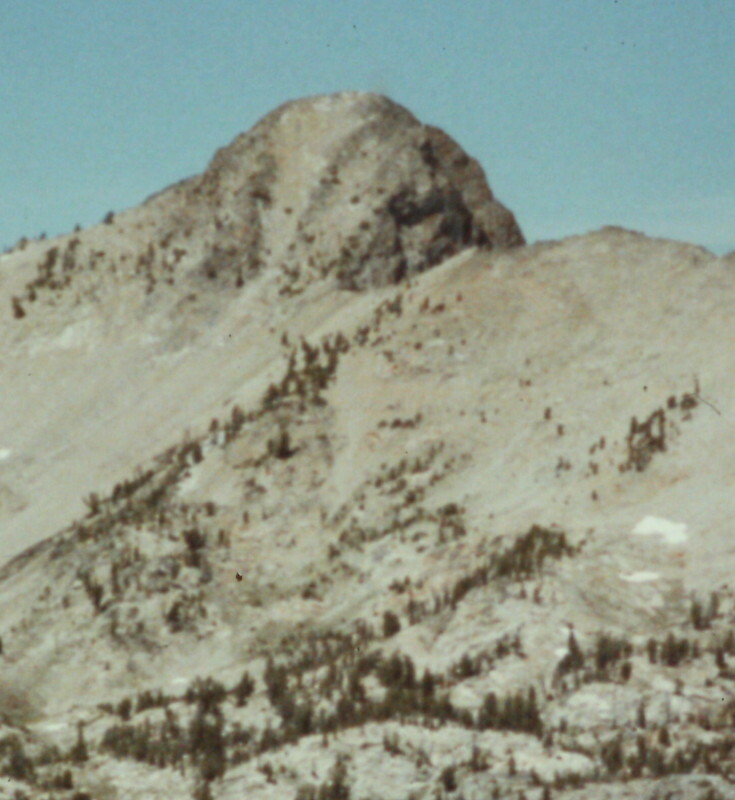 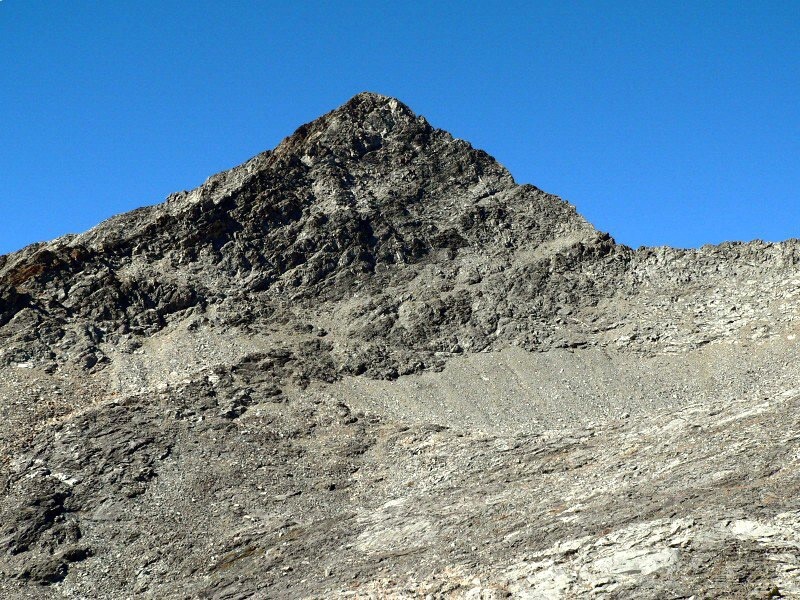 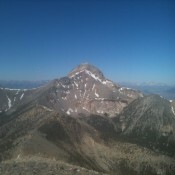 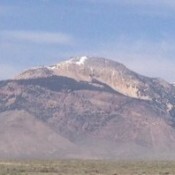 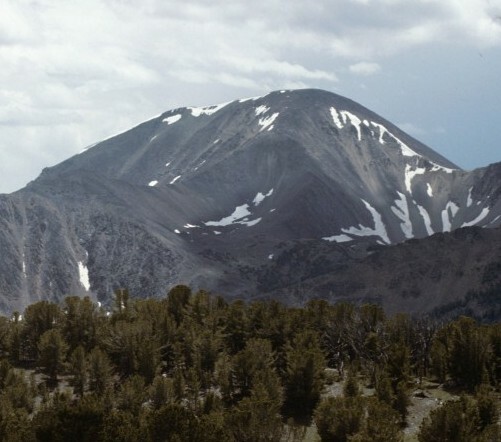 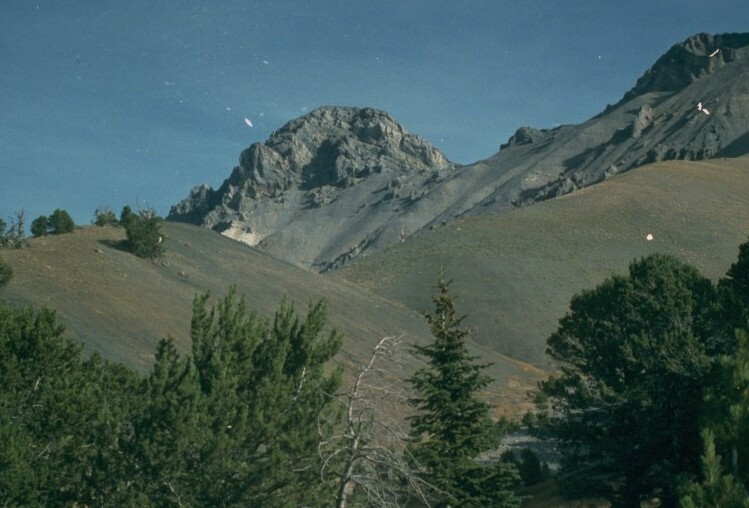 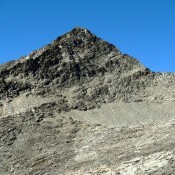 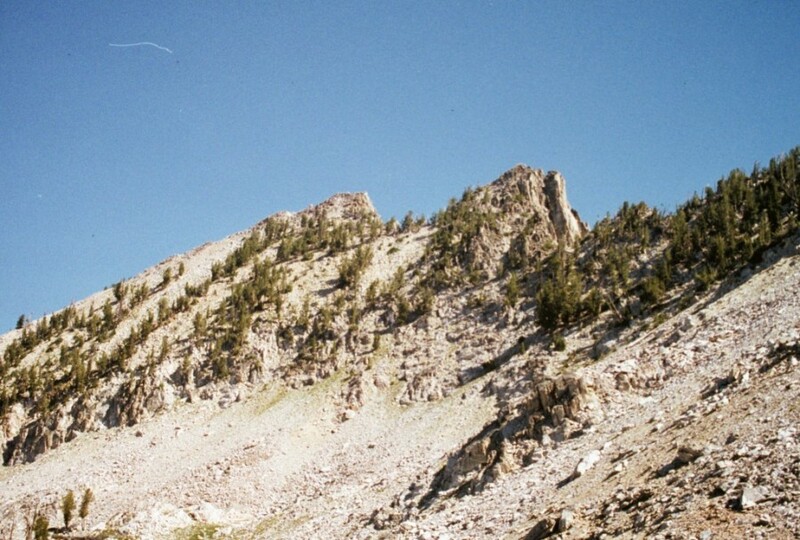 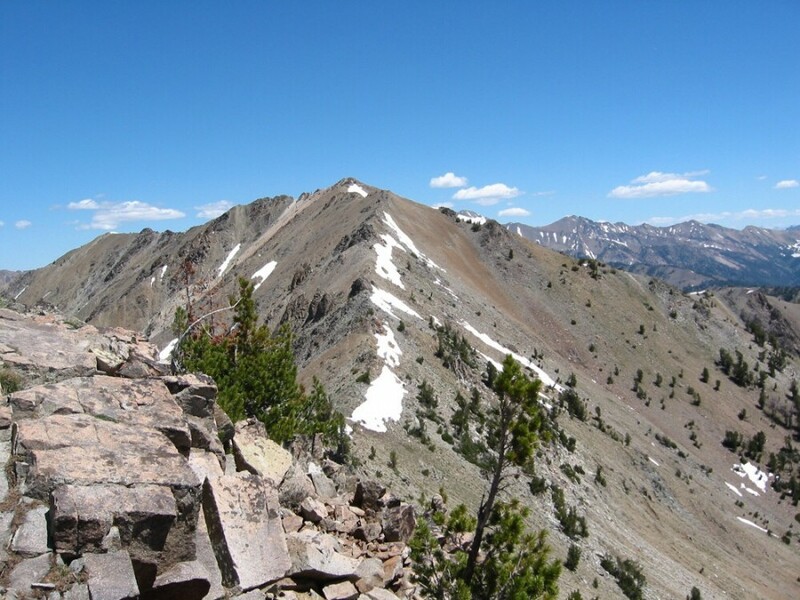 Blackdome Peak Northern Clearwater Mountains 6,412 ft This peak is found on page 62. 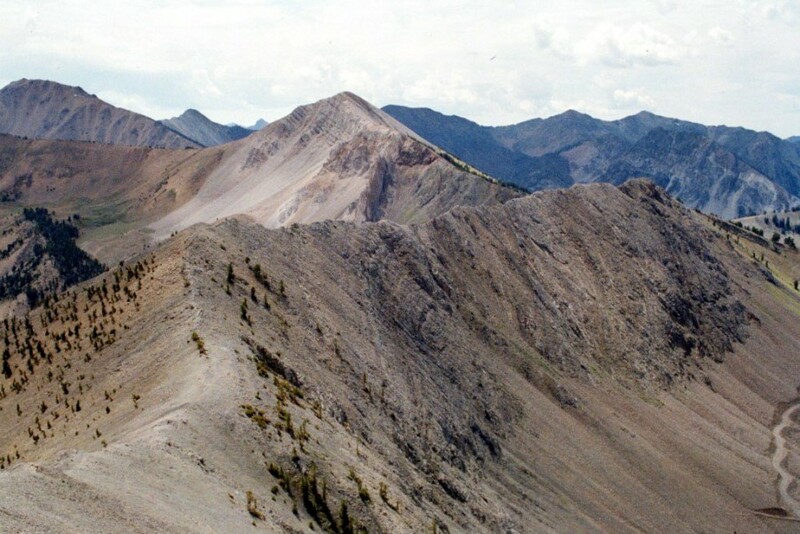 Blacknose Mountain Sawtooth Range 9,802 ft 542 1990 Climbing and access information for this peak is found on page 204. 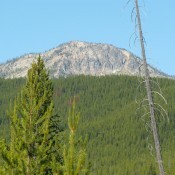 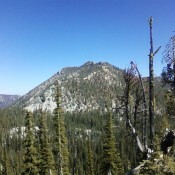 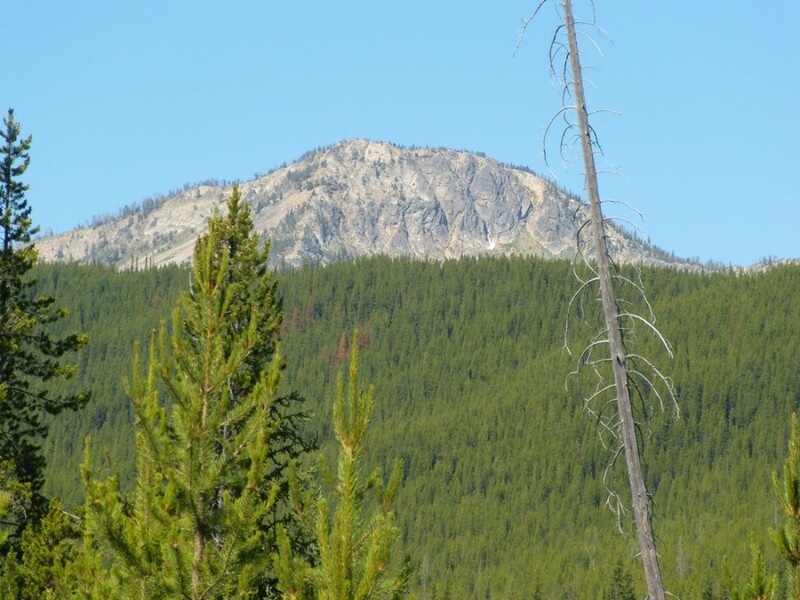 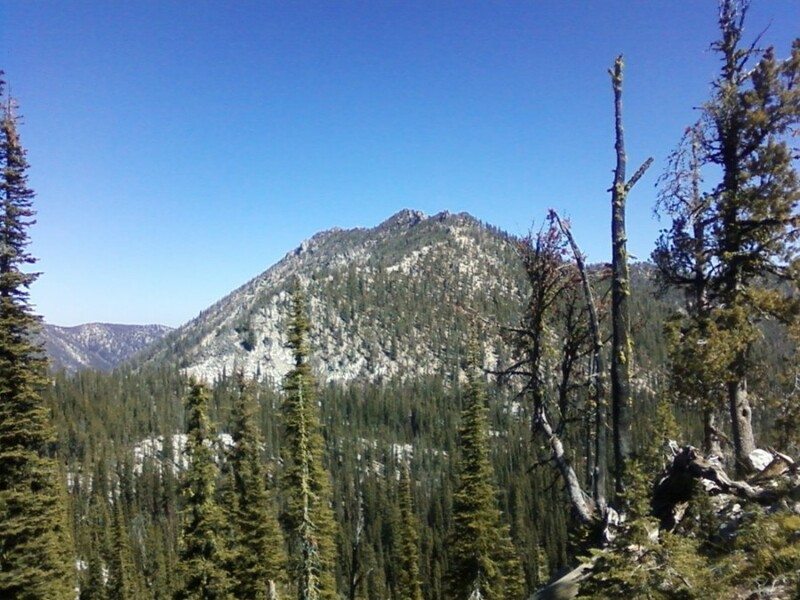 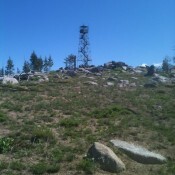 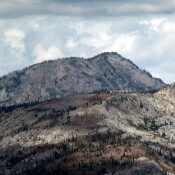 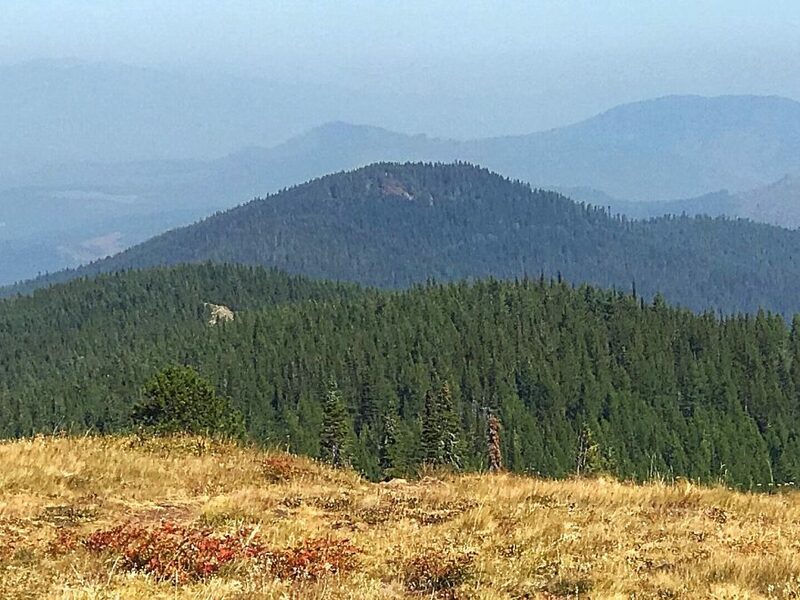 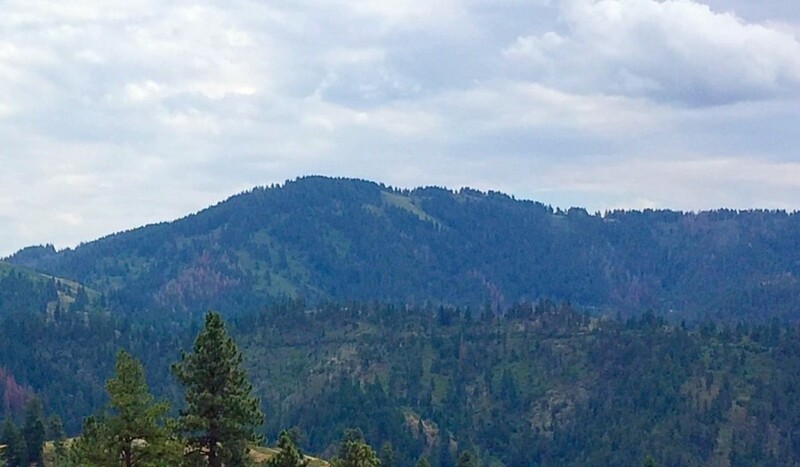 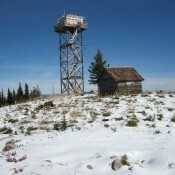 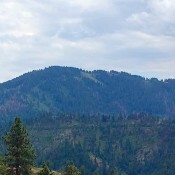 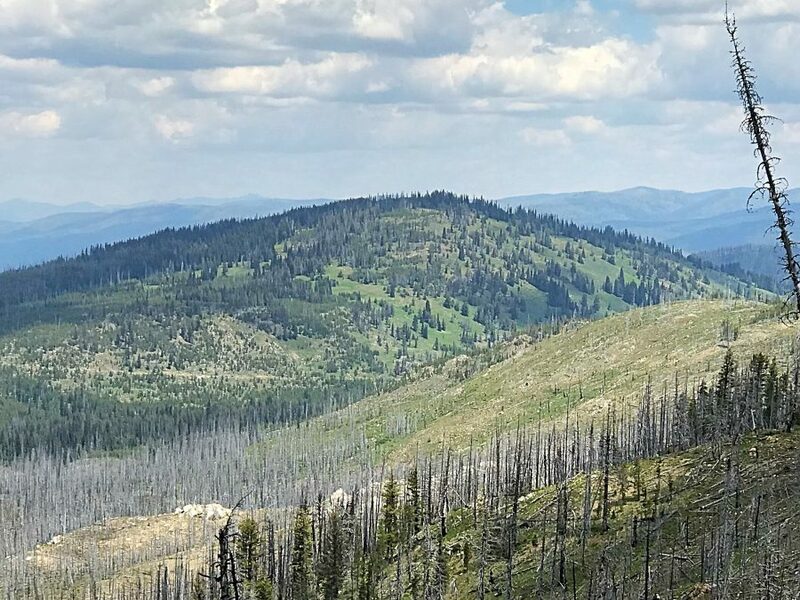 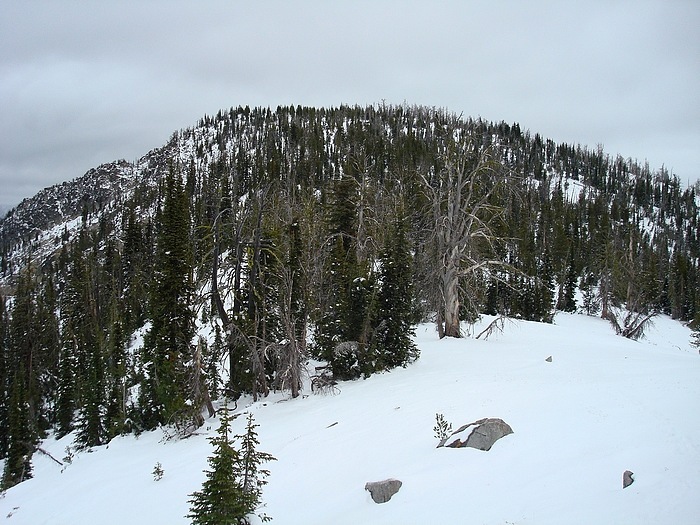 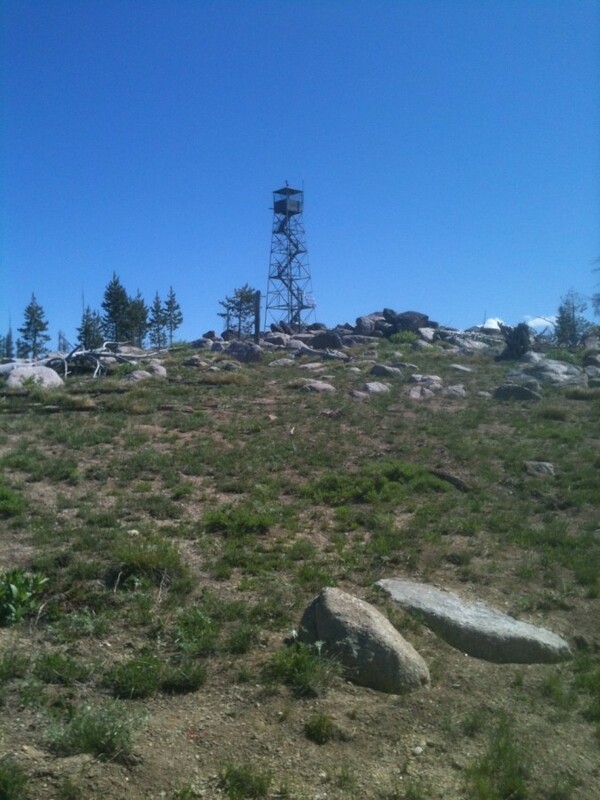 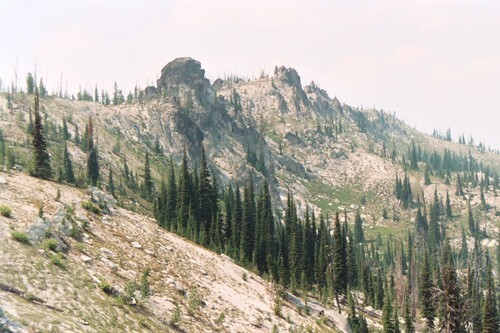 Blacktail Mountain Coeur d'Alene Mountains 4,960 ft This peak is not in the book. 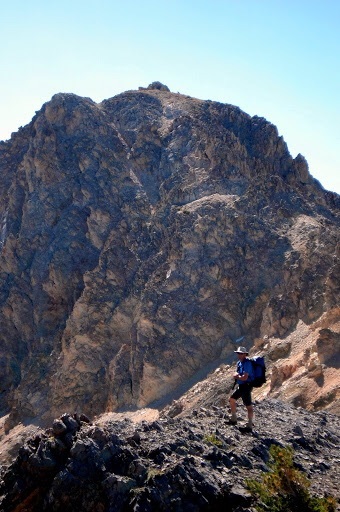 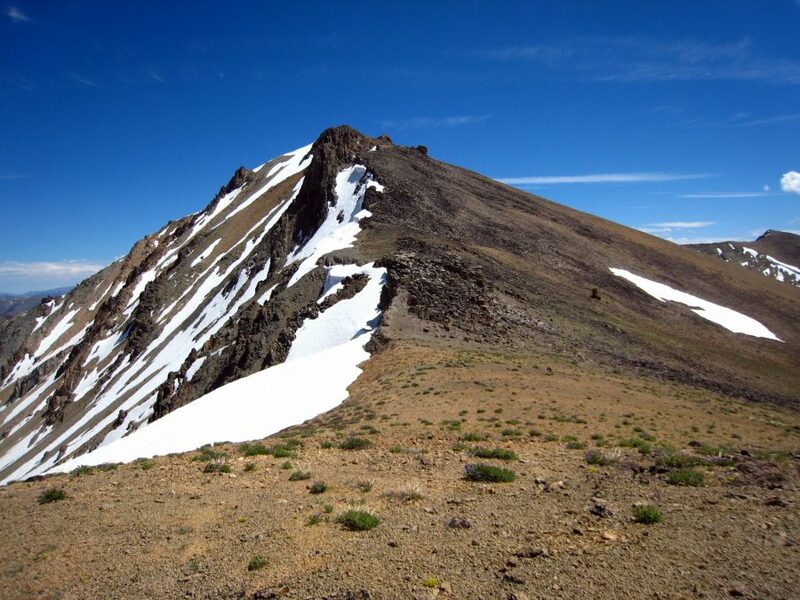 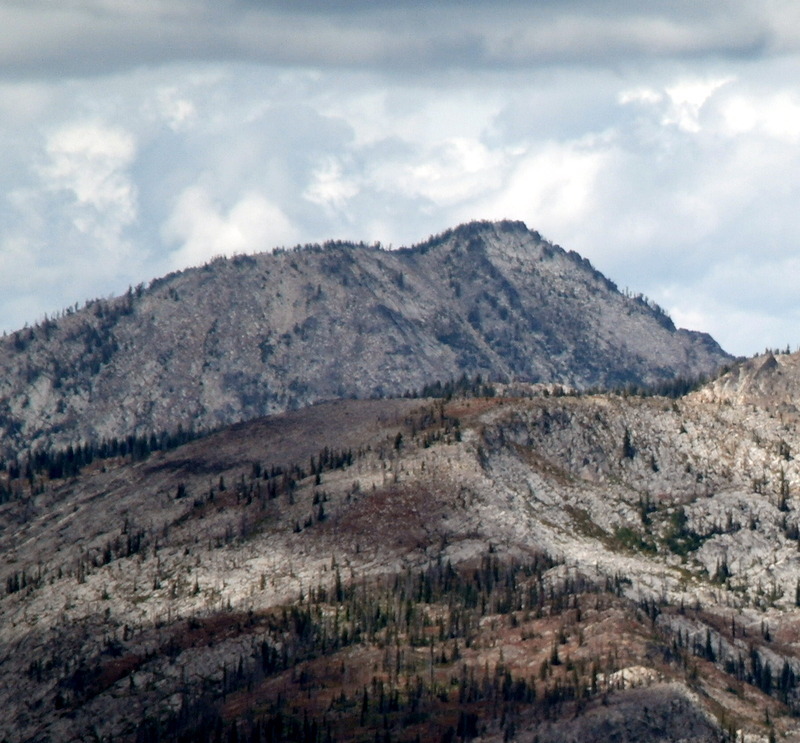 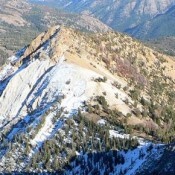 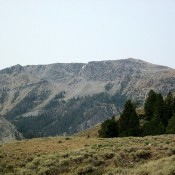 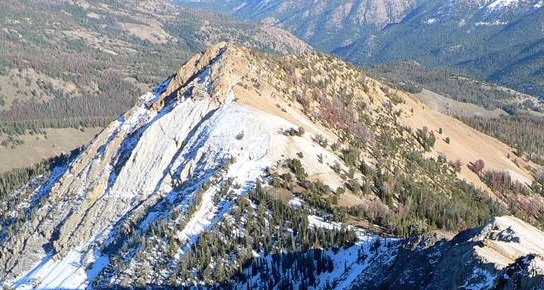 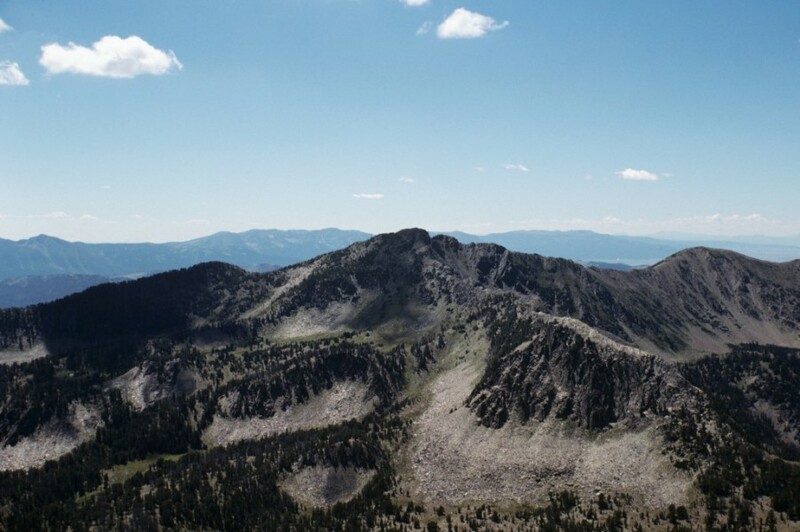 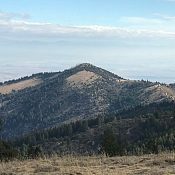 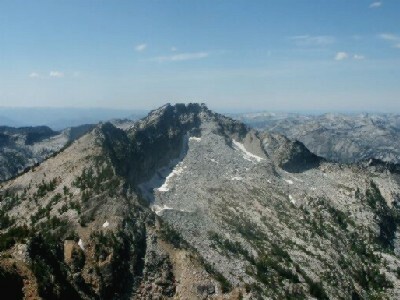 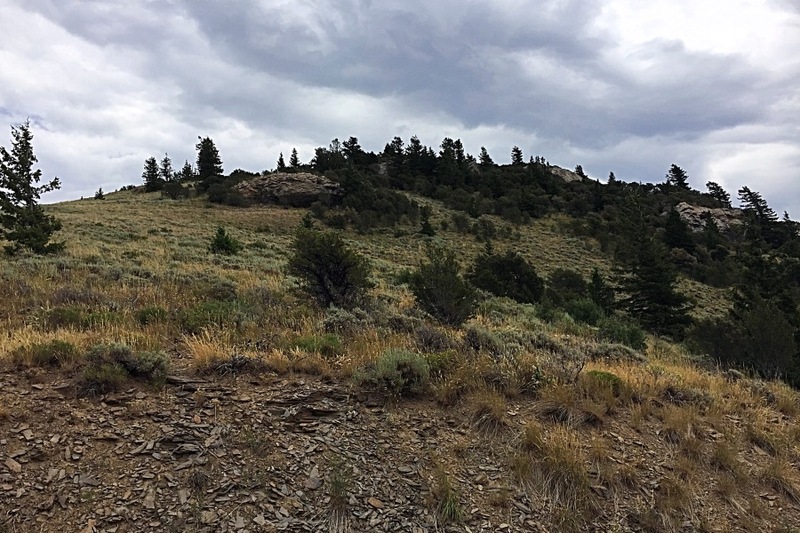 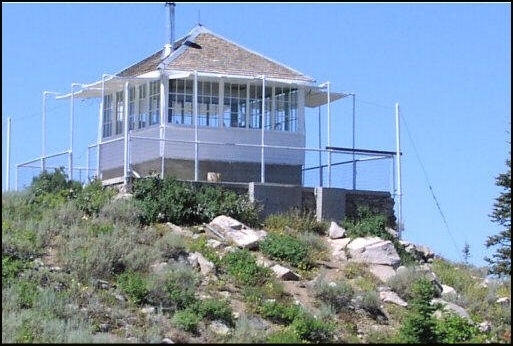 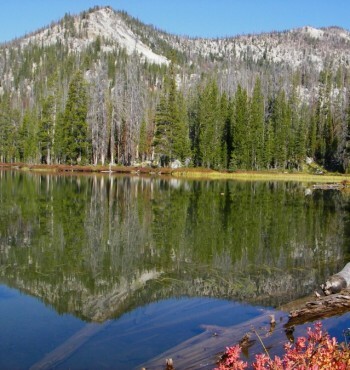 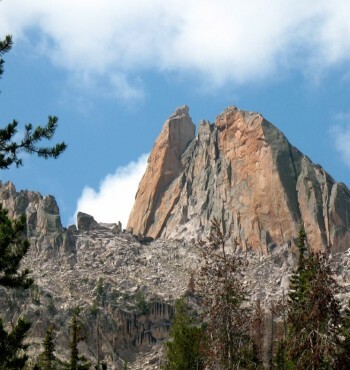 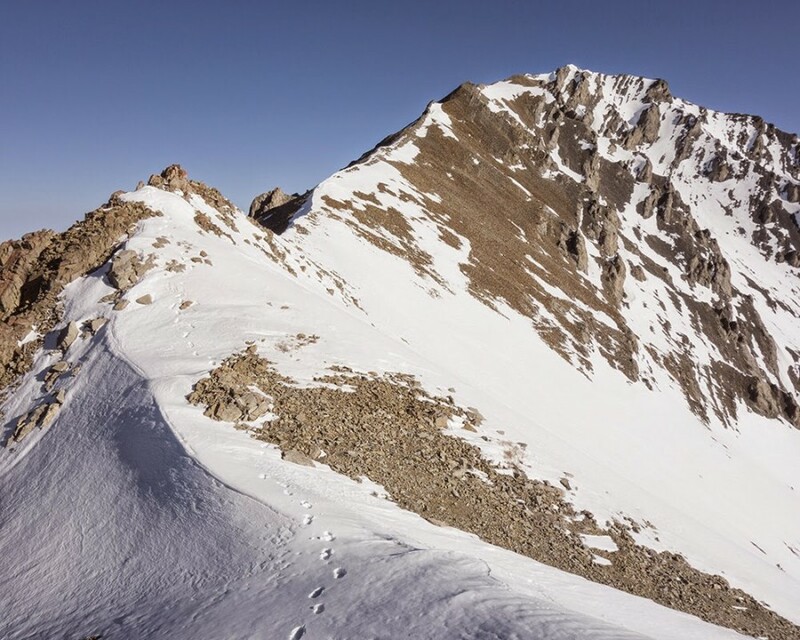 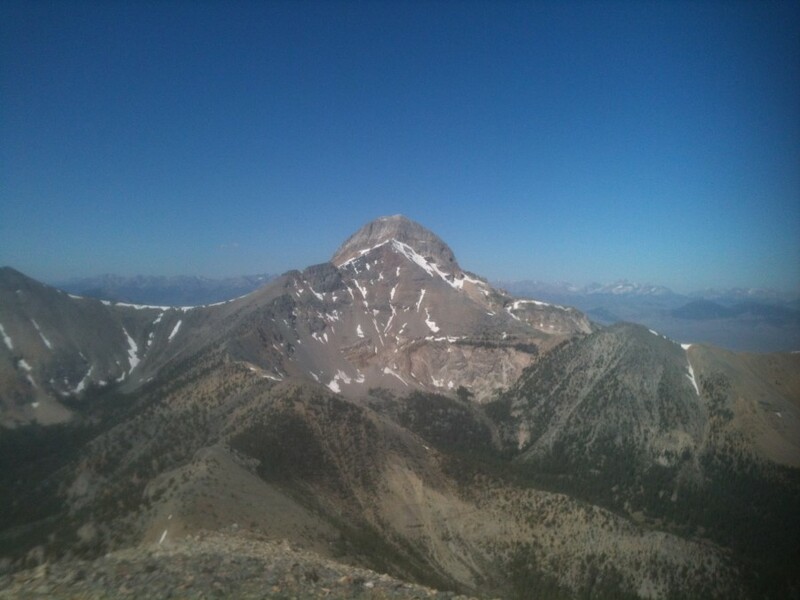 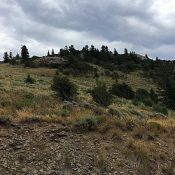 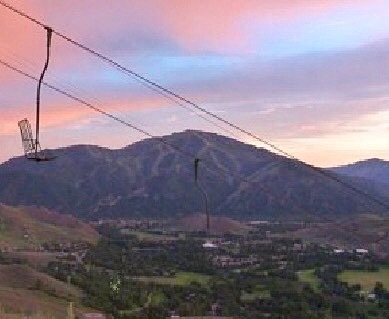 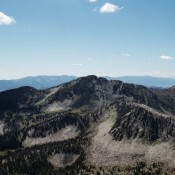 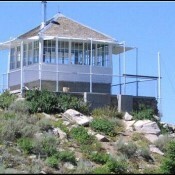 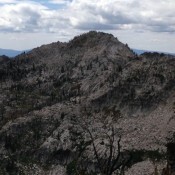 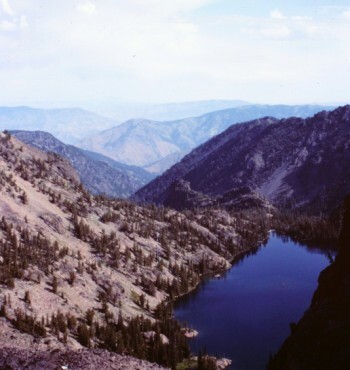 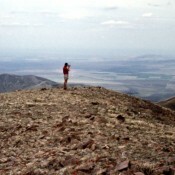 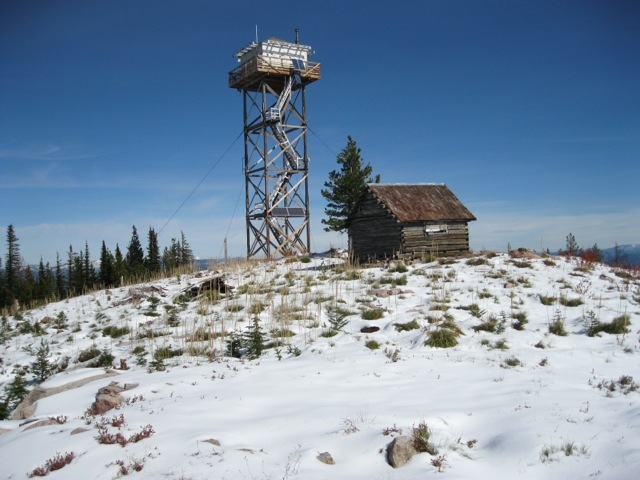 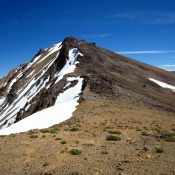 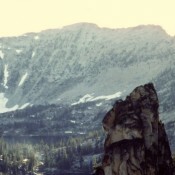 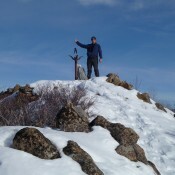 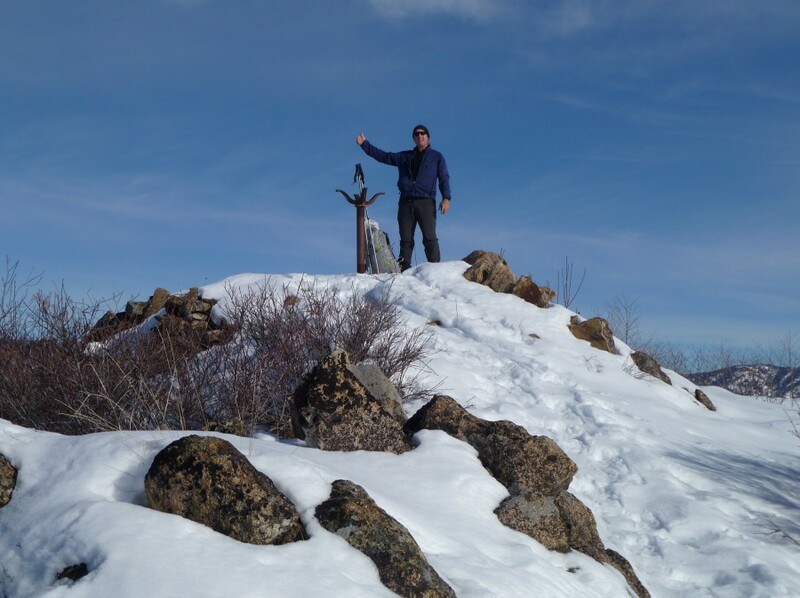 Boise Peak Boise Mountains 6,525 ft 705 2015 This book is not in the book. 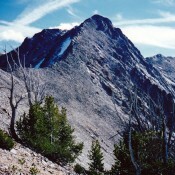 Braxon Peak Sawtooth Range 10,353 ft 533 1997 Climbing and access information for this peak is found on pages 169 to 170. 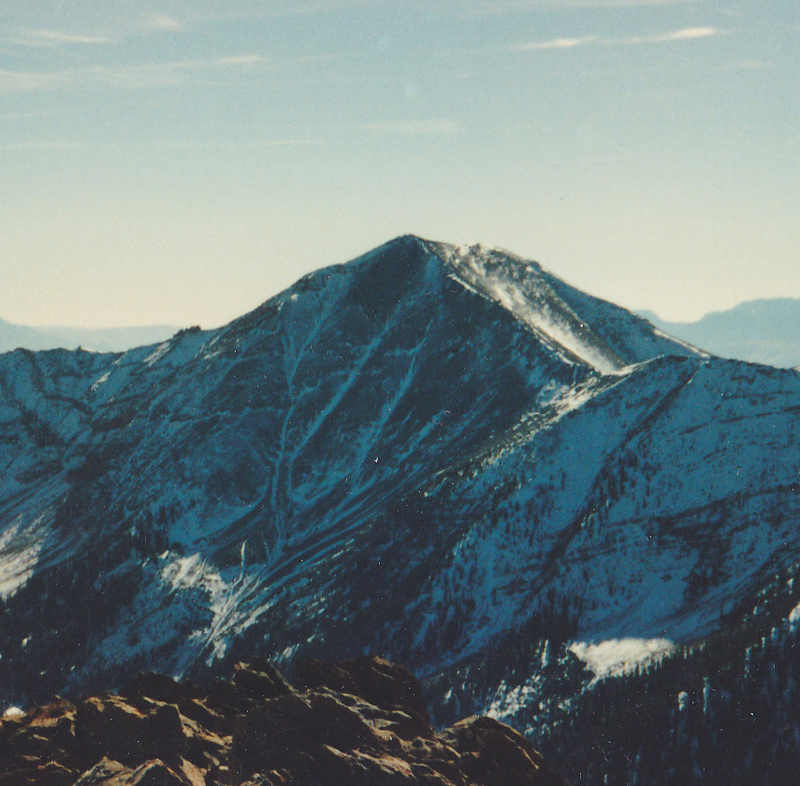 Bromaghin Peak Smoky Mountains 10,225 ft 1987 This peak is found on page 210. 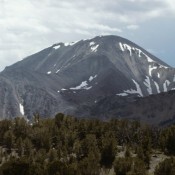 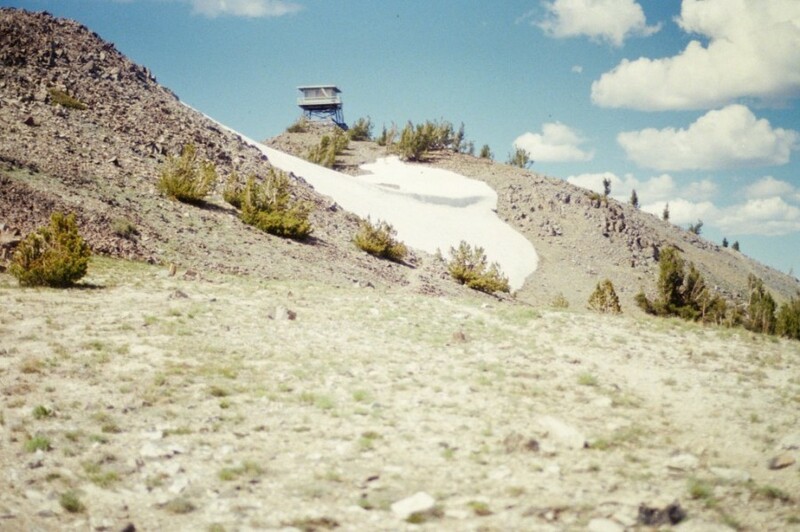 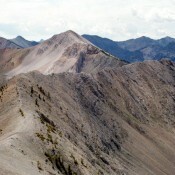 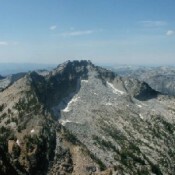 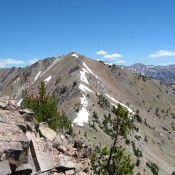 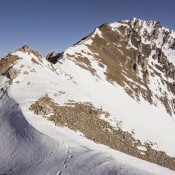 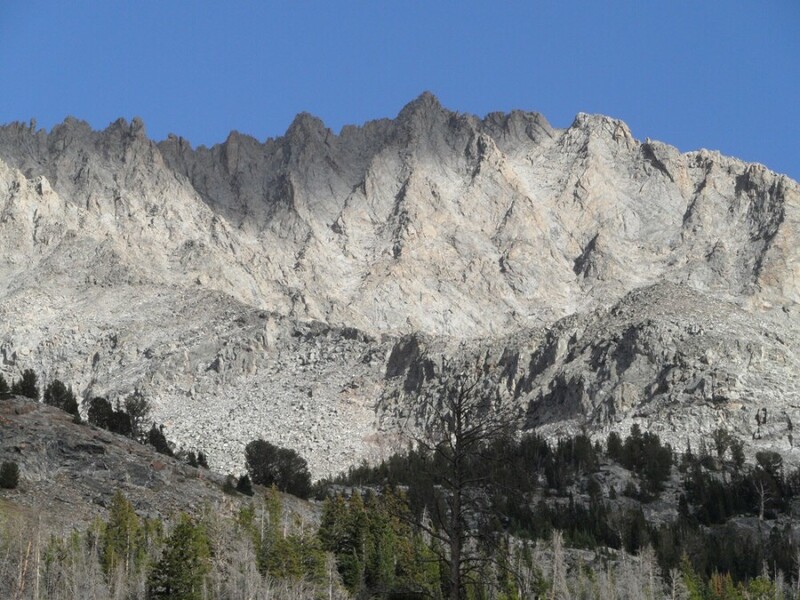 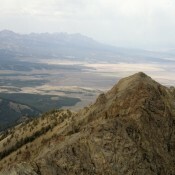 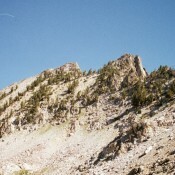 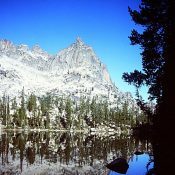 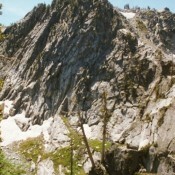 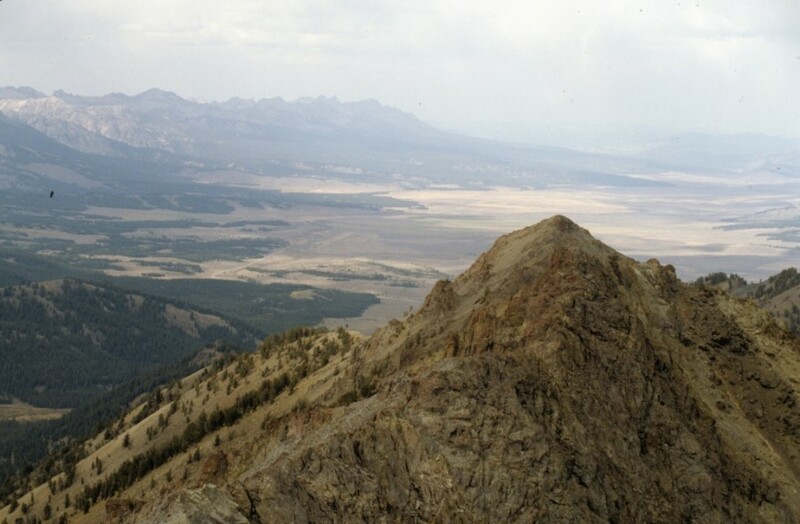 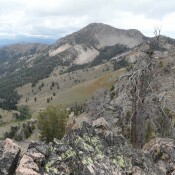 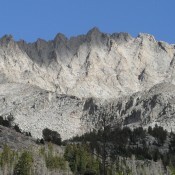 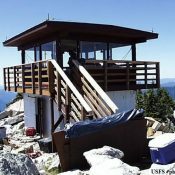 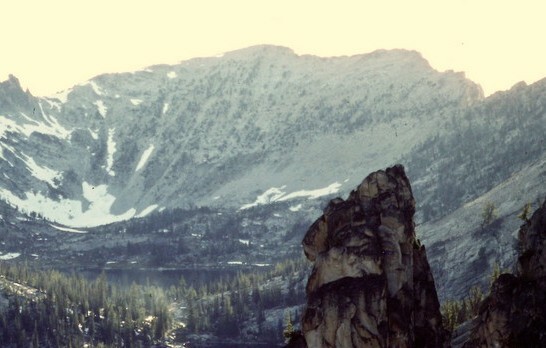 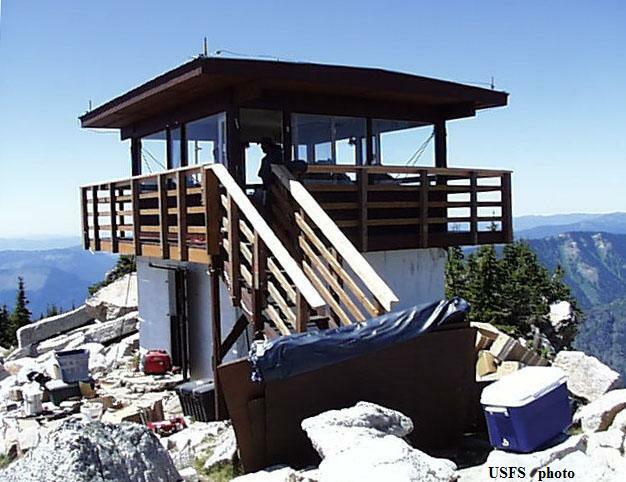 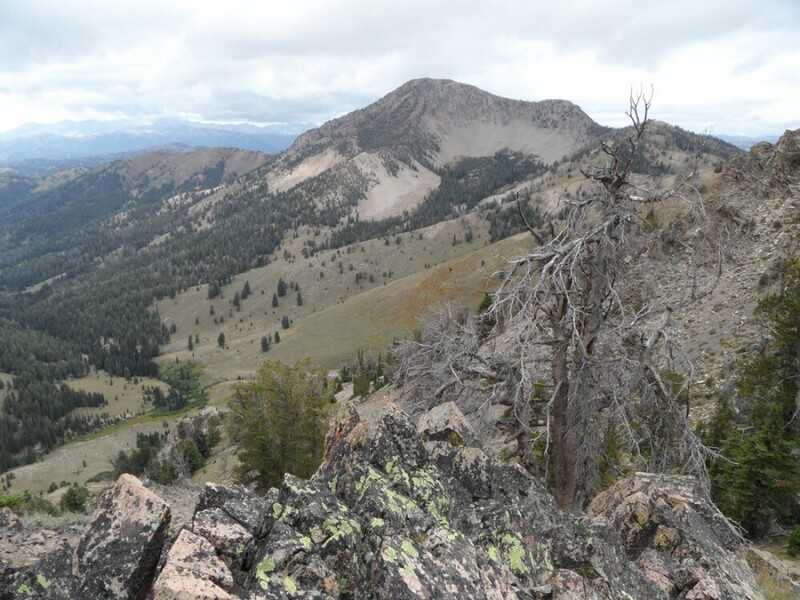 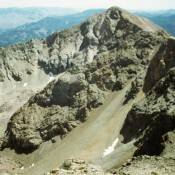 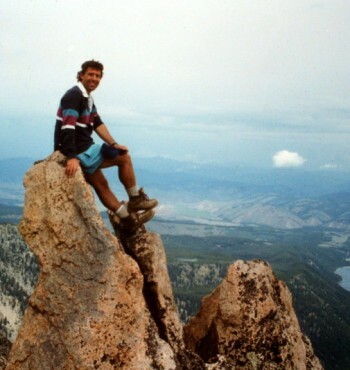 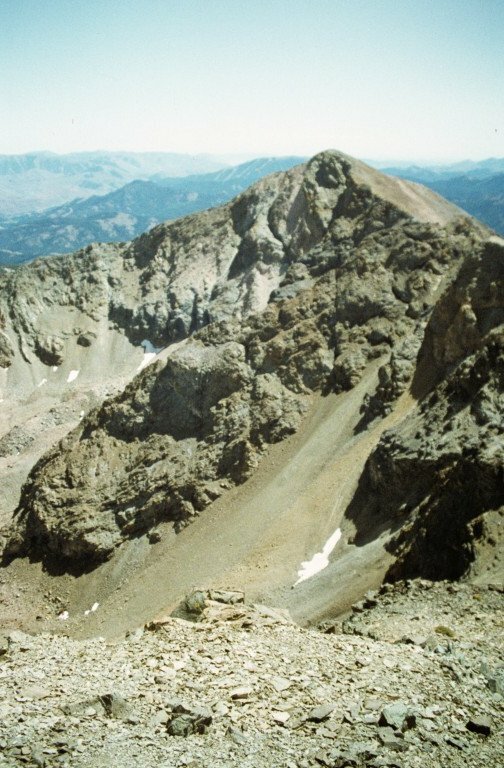 Browns Peak Sawtooth Range 9,705 ft 765 Climbing and access information for this peak is found on page 205. 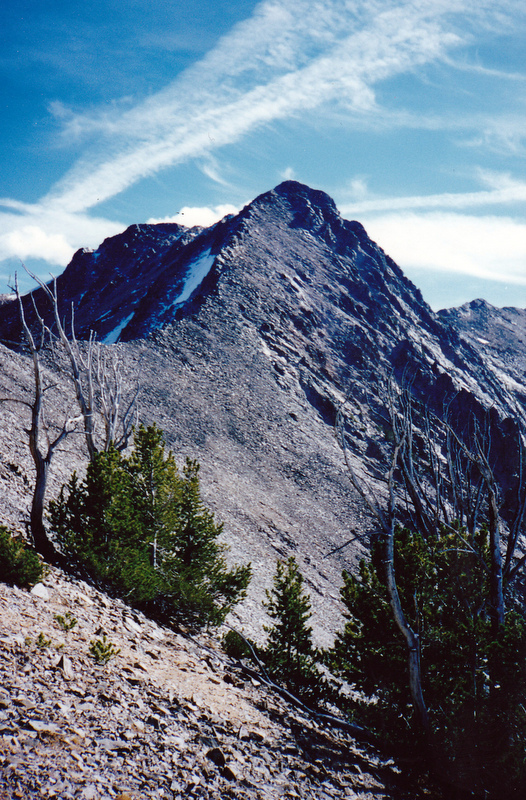 Buffalo Hump by Victor Zhou Southern Clearwater Peaks 8,938 ft Buffalo Hump is found on page 70. 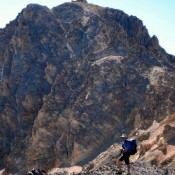 Thanks to Victor Zhou for this page writeup and photos. 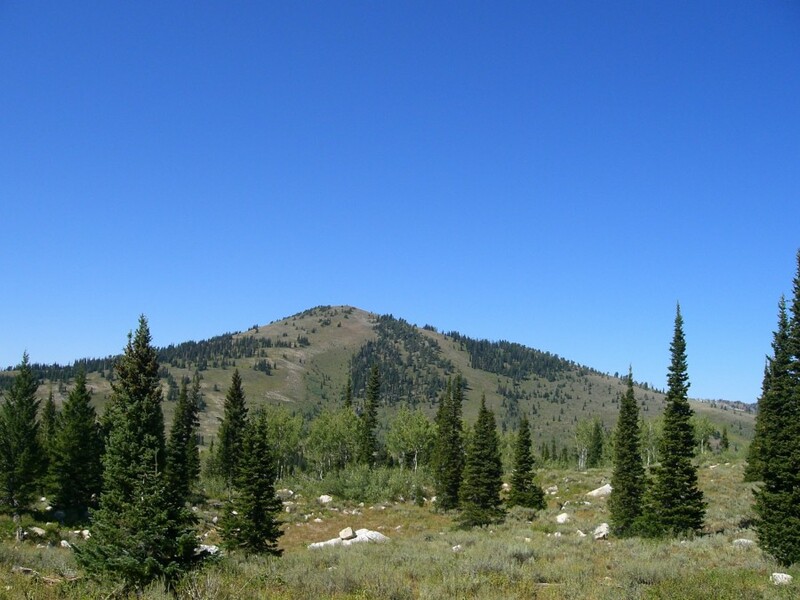 Burnt Knob Southern Clearwater Peaks 8,196 ft 716 2017 This peak is not in the book. 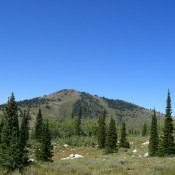 Buttercup Mountain Smoky Mountains 9,075 ft 1990 This peak is found on pages 212 to 213.